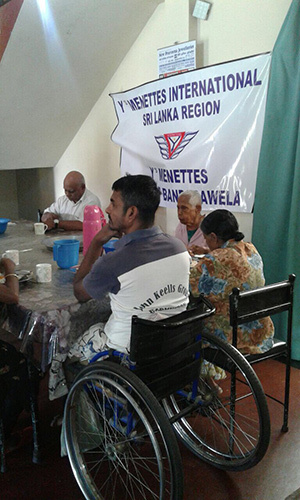 43rd Regional Convention – Sri Lanka Region held at Grand Oriental Hotel, Colombo on 23rd June 2018. 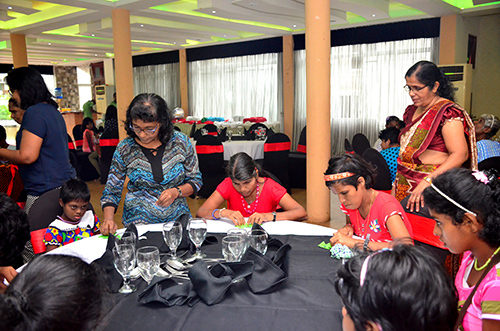 The Inaugural ceremony of the 43rd Regional Convention commenced by Welcoming the Chief Guest Asia Area President Dr. Hsiao, and Guest of Honour, Mr. Nirmal De Fonseka, President of National Council of YMCA by Y’s Youth Natasha Balthazaar by pinning flowers, followed by lighting of floating candles by RD Prasantha De Silva, Asia Area President Dr. Tung Ming Hsiao , Guest of Honour, Mr. Nirmal De Fonseka, RDE Ranarajah Seresinhe, IPRD Sarojini Nagendran, RS Suranganie Francis, RT V. Rajendran, PAP Rita Hettiarachi, DG South Western, Shane Balthaaar, DG Central Eastern Ranjith Dayarathne. 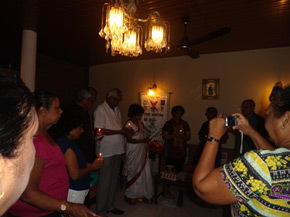 The lighting of candles was followed by the Flag Ceremony, where the club flags were carried by the respective club representatives to the call of MC and displayed throughout the Convention. 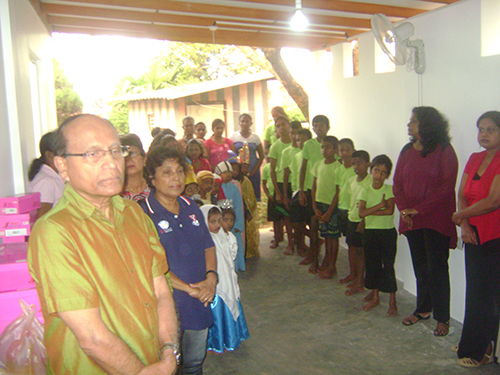 Thereafter the National Anthem of Sri Lanka was sung which is traditional to this ceremony followed by the National Anthem of Taiwan. 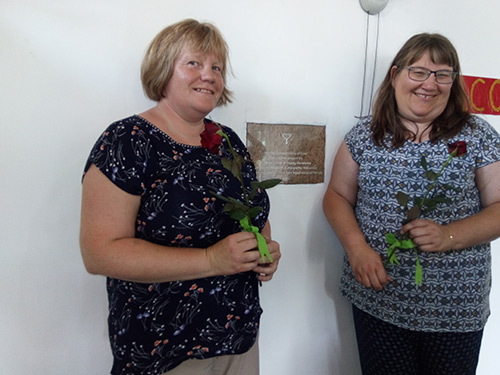 This was followed by the Y’s Men’s Pledge and Prayer, with a moments silence observed for those of other faiths, followed by a minute's silence observed for deceased members. 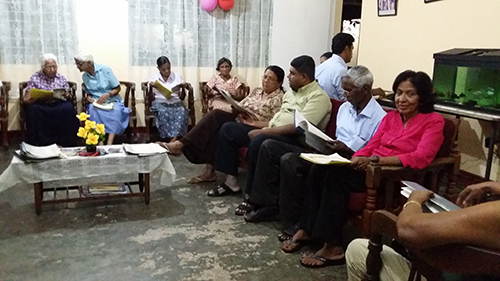 The Bible reading was done by RS Suranganie Francis followed by the traditional presentation of the Bible by RS to Regional Director Prasantha De Silva. 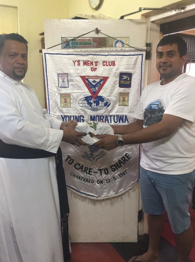 YL Suranganie Francis of Young Moratuwa Club was re-appointed as Convention Scribe, as decided by the Regional Board, while YM Chinthan De Silva of Colombo club was appointed as the Y’s Guy. 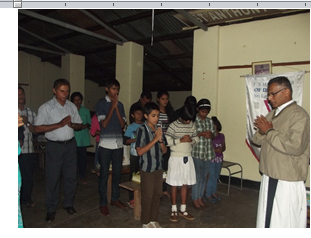 RD Prasantha, extended a warm welcome to all who gathered for the 43rd Convention. 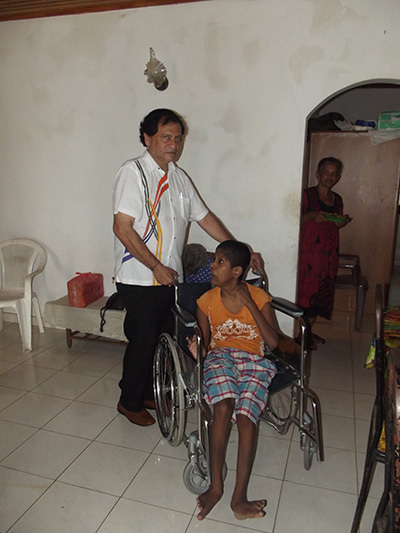 Specially, he welcomed Area President, Dr. Tung Ming Hsiao for accepting the invitation to be Chief Guest for the 03rd time. 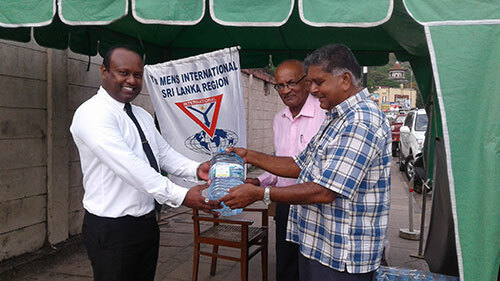 He said he has been the RD from 2016 – 2018 in Sri Lanka Region and that he has been given a clear mandate by the clubs to increase the membership of the organization. 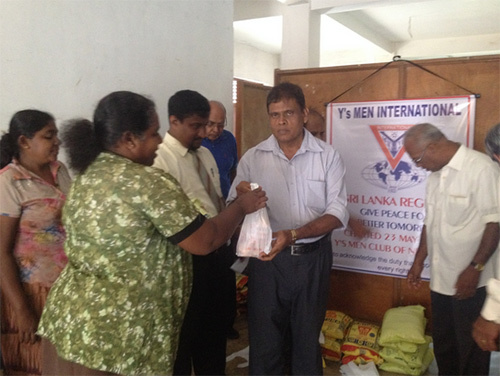 He said every effort was made to increase the membership in Y’s movement by establishing new clubs in the Region. 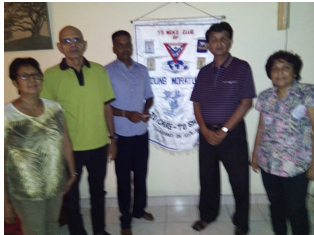 Chartering of a new club is still in the pipe line. 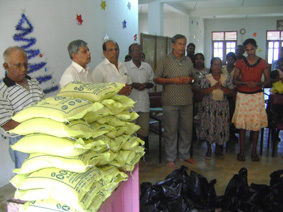 He said, along with few more clubs in progress, we may be able to achieve our goal. 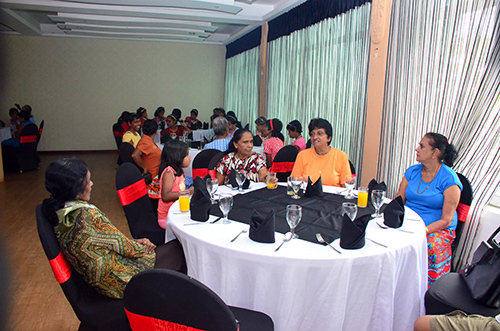 He then thanked all the members who were present and invited them to have a memorable and enjoyable evening. 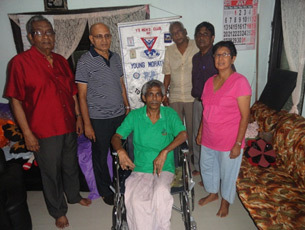 PAP Rita Hettiarachchi introduced the Chief Guest, AP Dr. Tung Ming Hsiao from Taiwa n,fondly known as Dr. Mosquito for the 3rd time at our 43rd Convention. 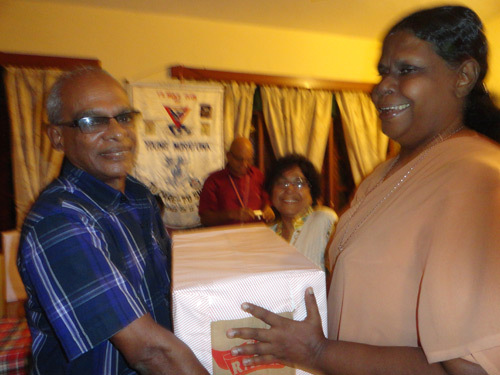 She said this is his final year and the last of his Conventions as Area President. 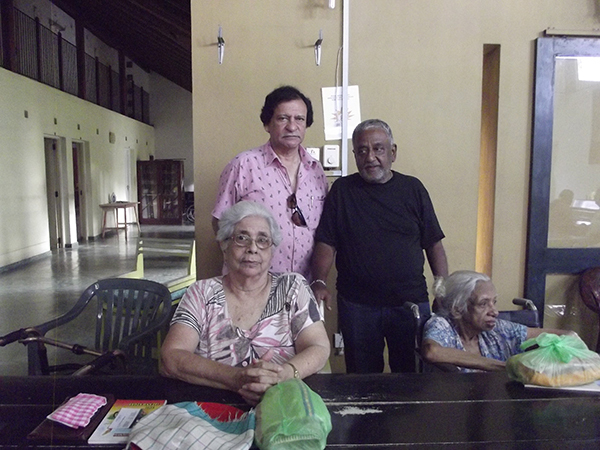 Since this is his 3rd visit she did not talk about his career or port folios as she did not want to repeat them. 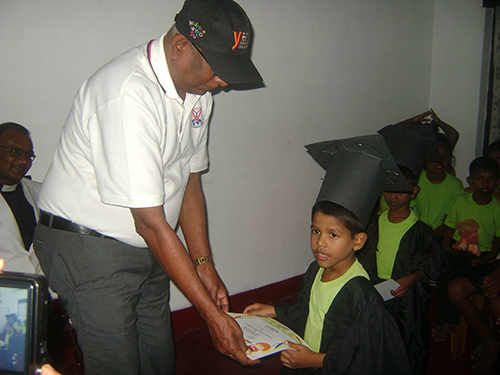 Now he serves in the area as a Team member on LT/OD and help in the training of RDs/RDEs. 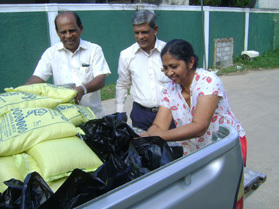 She said it is easy to work with him as he allows the Area Directors and Regional Directors to work freely. 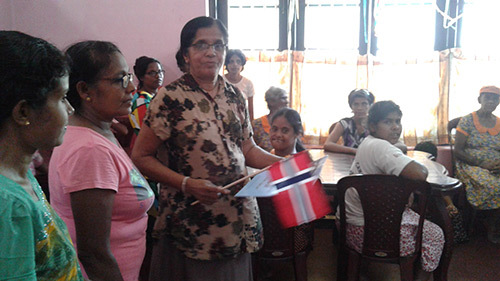 Chief Guest, Dr. Hsiao said he is happy to witness a rare opportunity where he saw the National Flag of Taiwan side by side with Sri Lankan National Flag and both National Anthem being sung at a Convention. 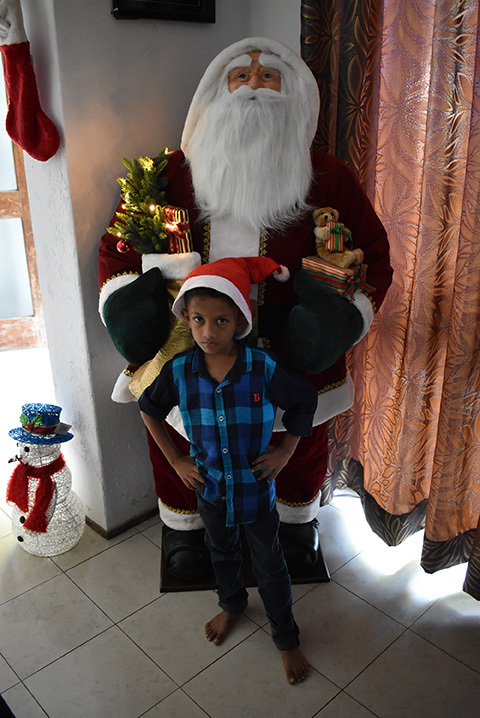 He said Sri Lanka is bigger than Taiwan and is a nice country. 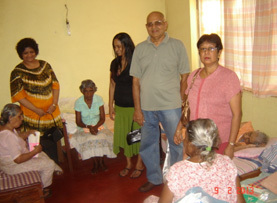 He said his 1st visit to Sri Lanka was in 2009. 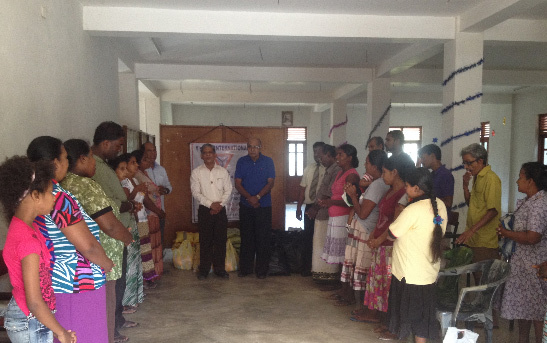 He thanked RD Prasantha for the good work carried out in the Region during the year. 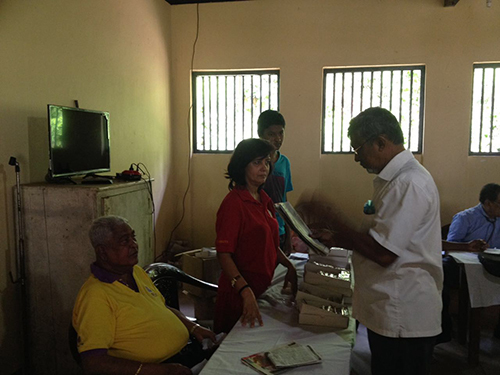 Going through the reports from workbook that morning he was very happy to see the Community Services carried out by the Clubs in the Region. 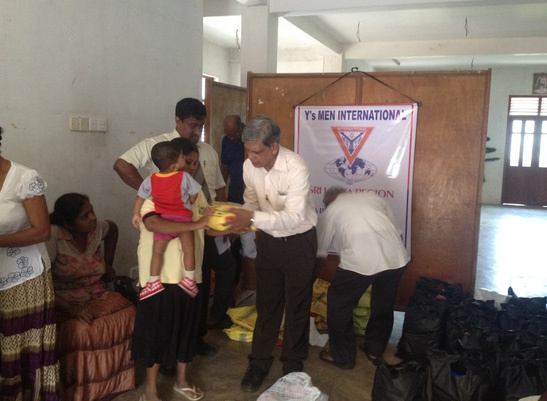 He said the Y’s Men idealism is to Serve the Community, Country and the World at large. 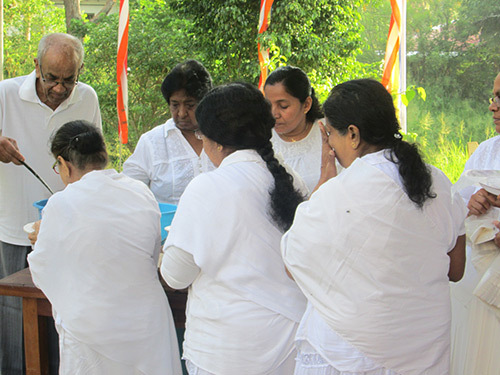 We are joined together as a family worldwide, organizing things together and we grow bigger and bigger. 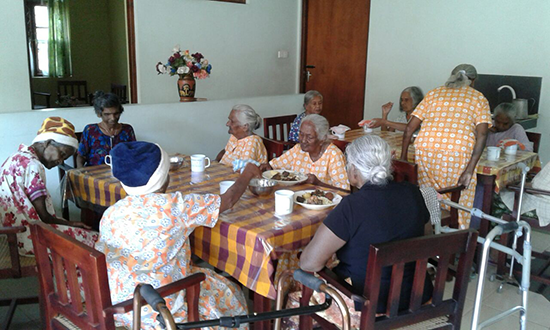 Sri Lanka has a long history of Y’s dom of 88 yrs. 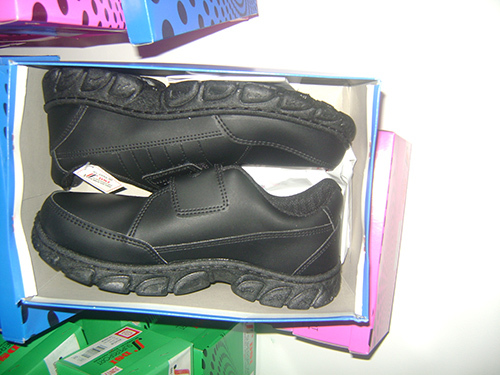 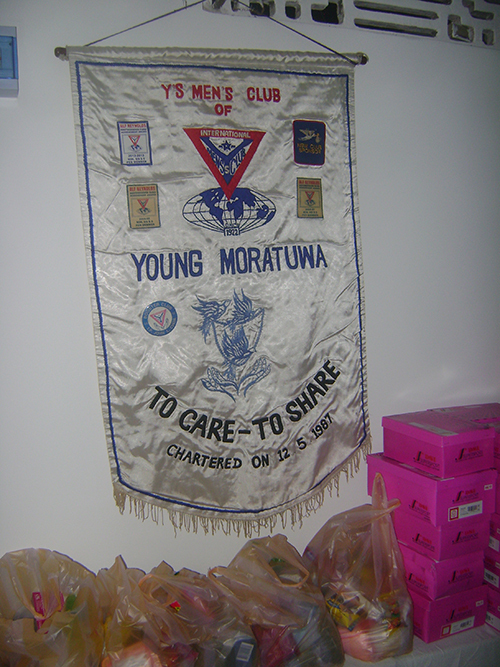 serving the community and the YMCA. 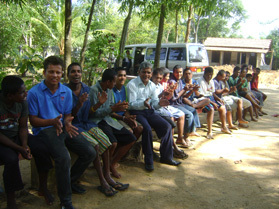 He said Sri Lanka now has been given the opportunity to have a young ICM, and hope he will support the Region. 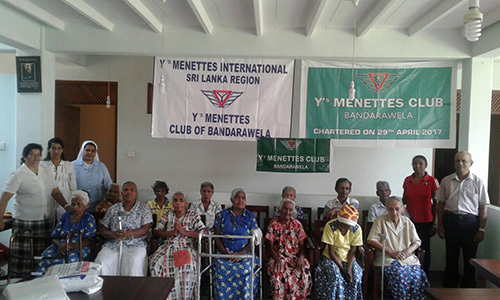 He also said, that Sri Lanka Region has done some worthy projects to the Community and thanked all the Y’S Men and Menettes for their good work and hope that the Organization will grow in future under the leadership of RD Ranarajah too. 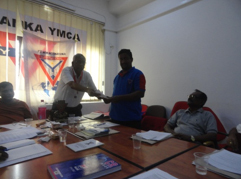 Then the Principles of Partnership was re-affirmed and duly signed by Heads of both YMCA & Y's Men. 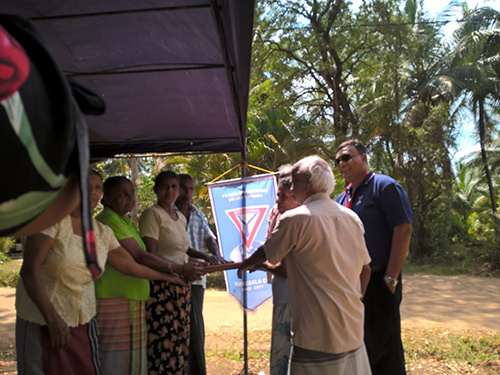 Mr. Nirmal De Fonseka , President of National Council of YMCAs too addressed the gathering and said this is the 03rd occasion he is attending the Y’s Men Convention as President of NCYMCA and consider this as a great privilege. 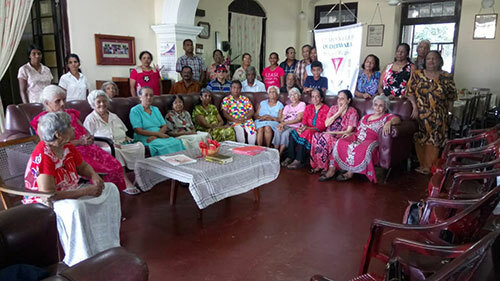 He said his first experience with Y’s men was in 2009 when he attended the Y’s Men Convention in Negombo and liked the way the affairs are conducted and it is interesting to know how we work together. 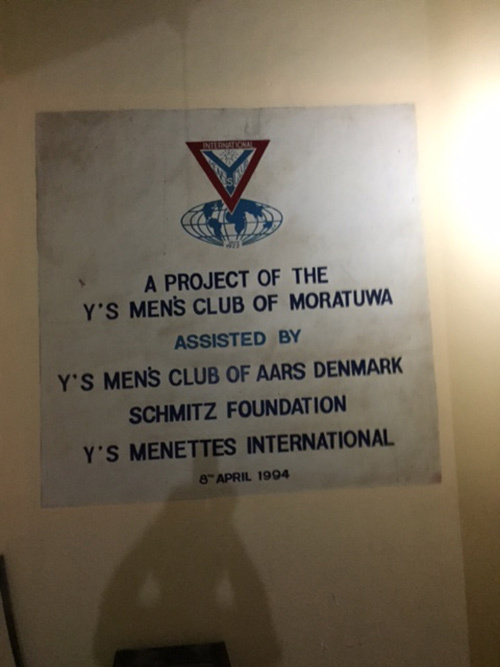 From time to time there had been instances when Y’s Men support the YMCA with funds in a small scale. 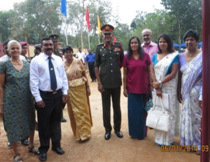 Currently, we have received a piece of land owned by us but occupied by the military at Paranthan during the civil war with LTTE and we are trying to develop this land. 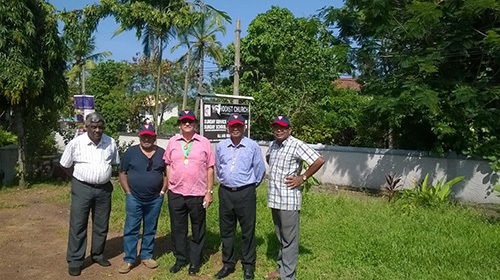 NCYMCA and Y’s Men are working together with World Council of YMCAs in Chennai to attract investors for development of this land and we could work much closer and share the benefits. 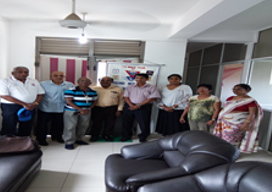 He also said, that he attended a District Council Meeting of YMCA in Hong Kong, and YM Yamada San was proposing to have a Liaison person to work at International level and we are working towards this. 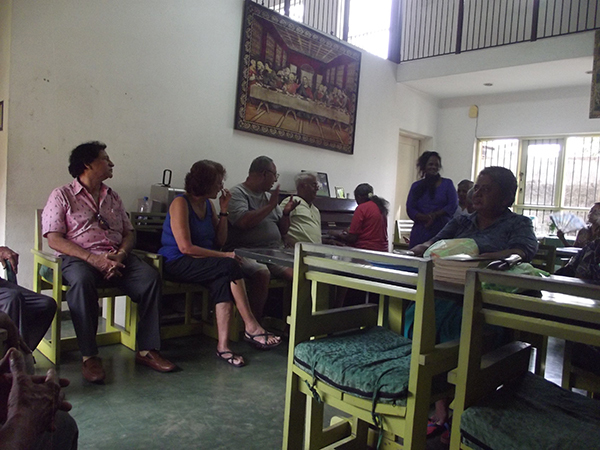 He said that we have revived several YMCAs with the support of Y’s Men, but we have more challenges. 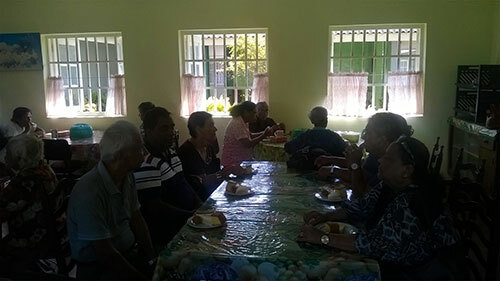 Instead of having one club one discussions, and meeting once a year, it will be fruitful for both organisations, to have discussions at National level in future to achieve our goals. 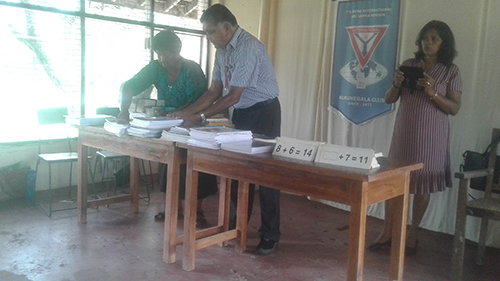 On conclusion of Business Session I, RD Prasantha announced the names of RDE and DGEs for Y’s year 2018/19. 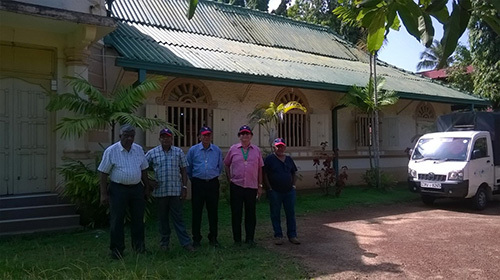 RDE – PRD Godfrey Francis , DGE/SW- YM Joe Daniel and DGE/CE - YM Ranjith Dayaratne. 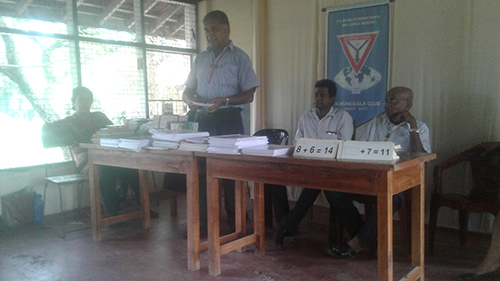 Thereafter, the Incoming RD Ranarajah Seresinghe addressed the participants. 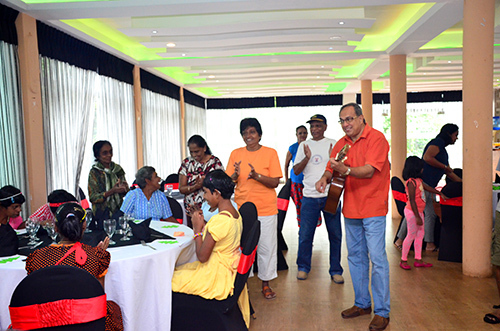 He said it is a great pleasure to address the gathering at the 43rd Annual Regional Convention. 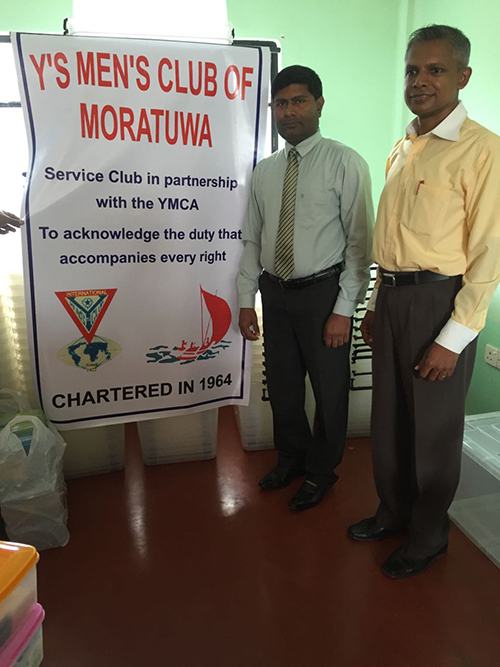 He said he joined the Y’s Men Club of Young Moratuwa in 1996 and served in the Club under various positions to date. 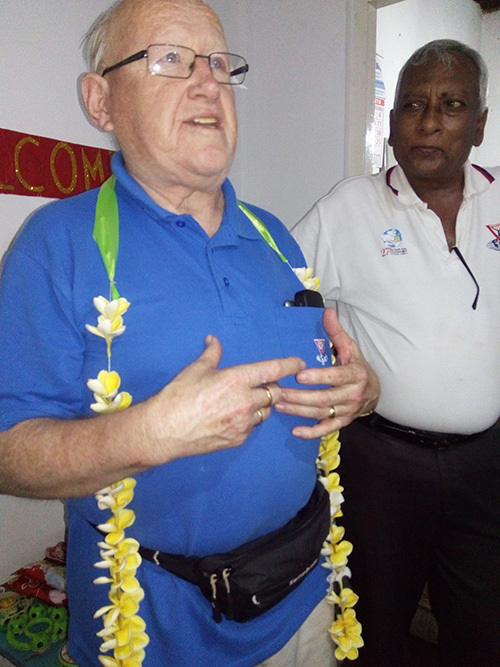 He was the District Governor-South Western in 2001 and been a RSD and served in the Regional Board until 2013/14. 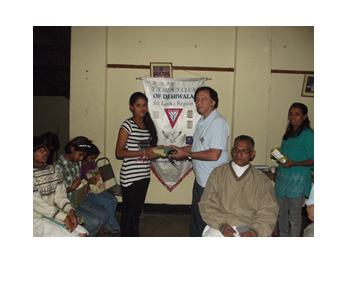 He was nominated as RDE in 2016/17 and continued to serve in the Board to date. 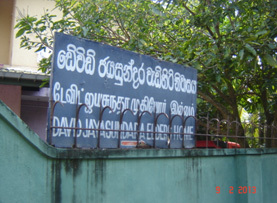 During the last 22 yrs. 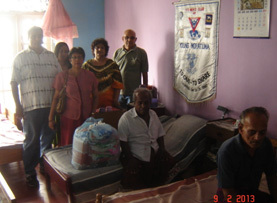 in Y’s dom, his family contributed whatever possible way to serve the community. 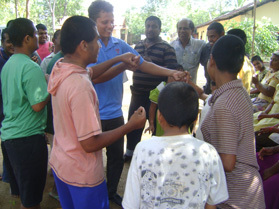 He believed that team work is more productive than doing it individually. 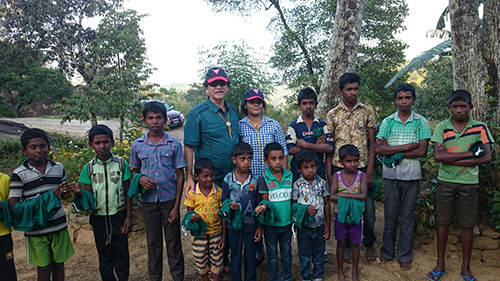 He shared some of his experiences of working as a Team which helped him to perform his duties as District Governor- South Western in the past. 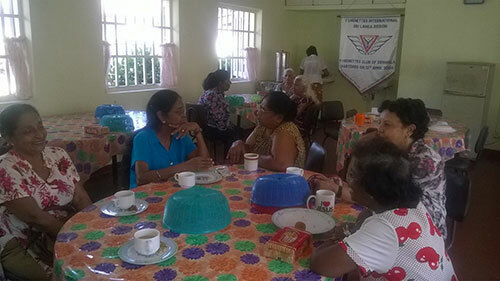 He said although you plan activities in advance there are instances where you cannot be present on time due to unavoidable circumstances and that is when you expect your team players to carry on in your absence. 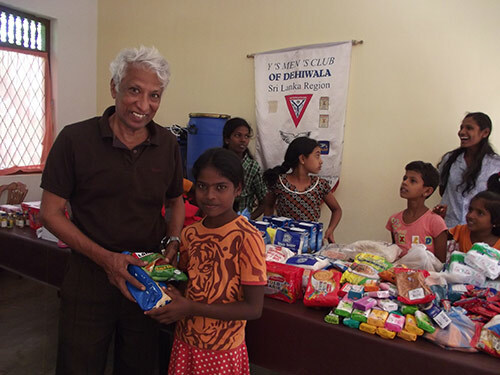 He said our membership was declining in the past few years, but thanks to RD Prasantha who initiated to increase the membership, he could harvest the seed planted by him during his term in forming few clubs. 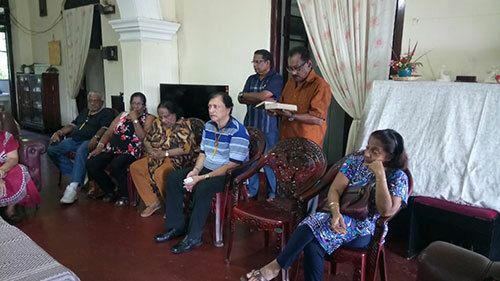 He publicly apologized to RD Prasantha for getting him unwarranted humiliation from e-mails and verbal communication, because of his proposal to continue for another year as RD according to our Regional constitution. 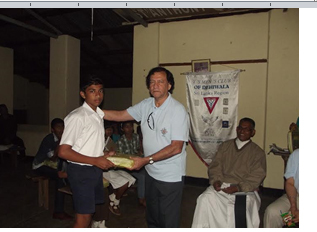 He said he is happy about the outcome and the incredible achievements made by RD Prasantha during the year, although he is much junior in Y’s dom. 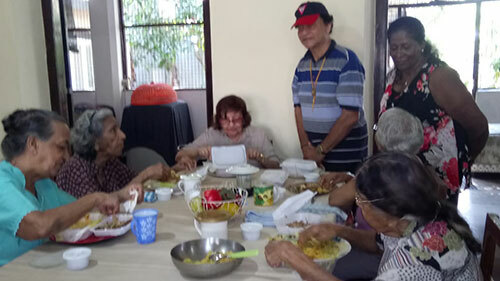 He admired his good qualities of planning, hospitality and punctuality in all Regional events and would try to maintain the same in his year and continue with the good work he began in increasing the membership. 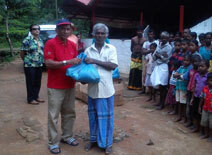 He reminded the members of the Oath we took with 04 words Idealism/Interest/Initiative and Industry. 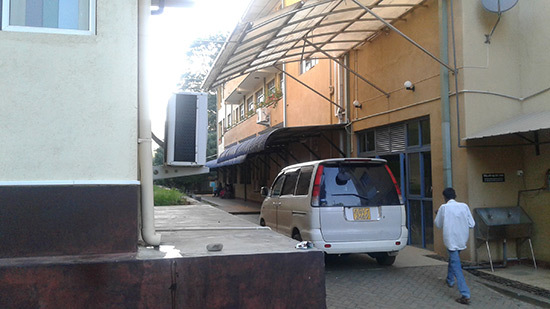 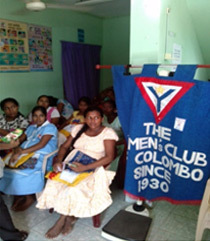 He said Moratuwa Club has boycotted the Regional Convention. 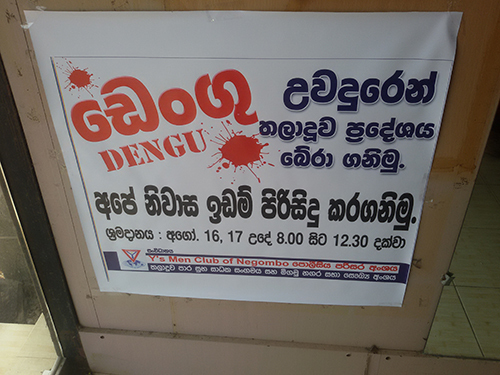 If the clubs refrain from attending Regional Convention, then you cannot consider them to be a “Club of Good Standing” for doing things against the approved Board decisions. 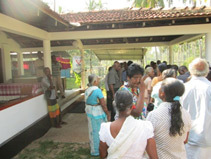 Further, he said as RD he entertains productive criticism but not personal harassments from clubs or individual members. 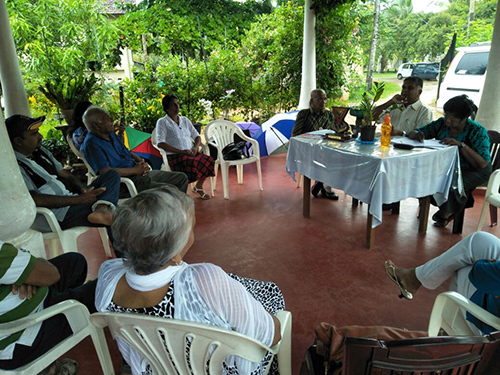 The Board will decide the course of action and inform the Area and the International, who he believe will stand with the Board and not with the individual. 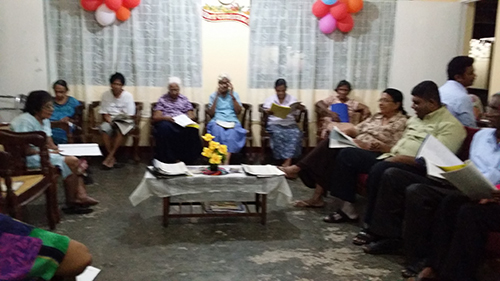 he thanked all those who are present at the Convention and concluded with the Quotation from Bible Verse from Proverbs 3:5-6 “Trust in the Lord with all your Heart”. 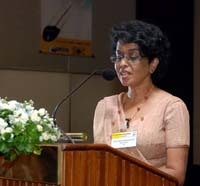 PRD Godfrey Francis introduced the Keynote Speaker, Mr. Rohantha Athukorala. 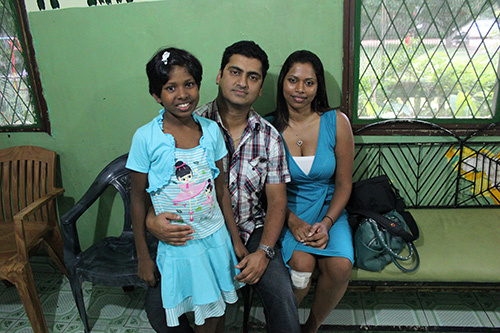 He is currently a Board Director of Hemas Leisure/Aviation Group and Country Director of Turner Investment LP. 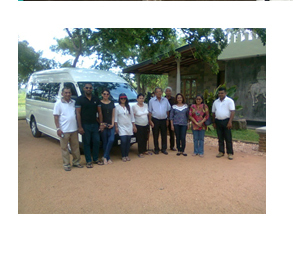 He was the former Chairman of Sri Lanka Tourism and Sri Lanka Export Development Board. 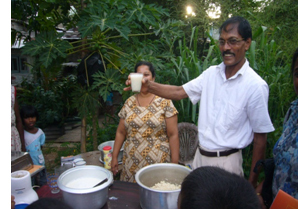 Academically, he has a double degree in Marketing of MBA and Doctorate in Business Administration. 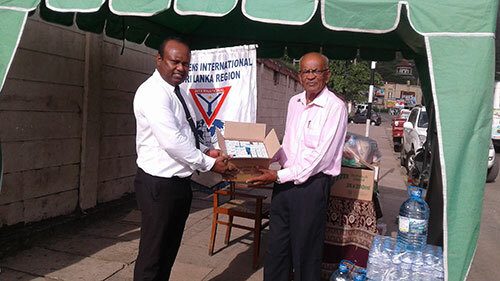 An Alumni of Havard Kennedy and a Paul Harris Fellow of Rotary International. 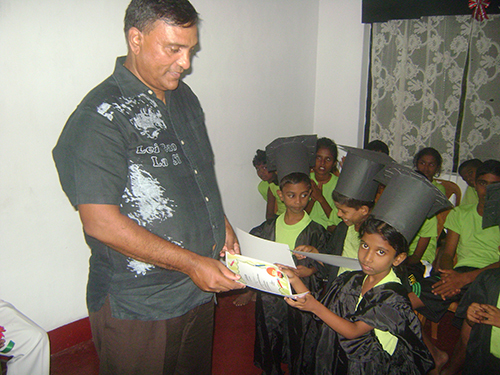 Dr. Athukorala is one of Sri Lanka’s respected marketing professional with 17 yrs. 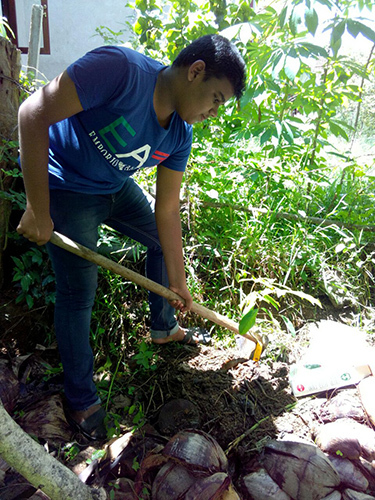 experience working for top British multinationals Unilever, Reckitt Banskiser and Diverseylever, winning twice the “Best Marketer” by Chartered Institute of Marketing and “Business Achiever” award from Post Graduate Institute of Management of University of Jayewardenapura. 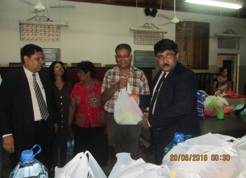 He served the country as Chairman and Board Director at Sri Lanka Export Development Board and exports crossed US$ 10 billion. 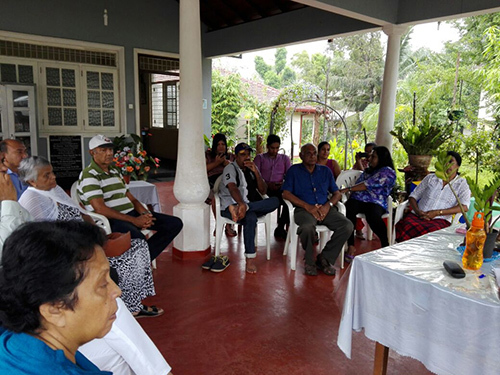 Then as Chairman of Sri Lanka tourism he structured the organization for the country to attract 1.8 miilion visitors whilst the cabinet appointed Dr. Athukorala as the Commissioner General for the World Expo 2015. 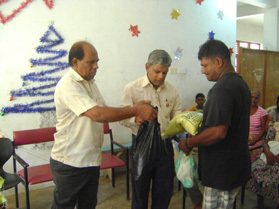 He then went on to be the Chairman of the 30 million rupee retail chain Lanka Sathosa where he turned around the organization. 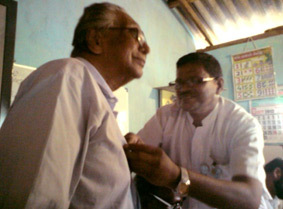 Dr. Rohantha Athukorala has served 03 Presidents of Sri Lank during his tenure in the public sector and went on to serve the United Nations (UNOPS)for 05 yrs. 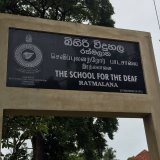 where the “Best Project Award” was won for Sri Lanka. 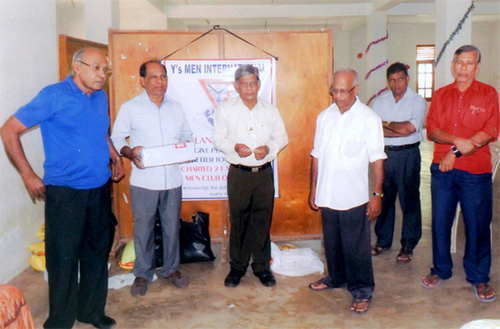 In his Keynote address Dr. Rohantha Athukorala first thanked members of Y’s Men International for inviting him to speak at the 43rd Annual Convention. 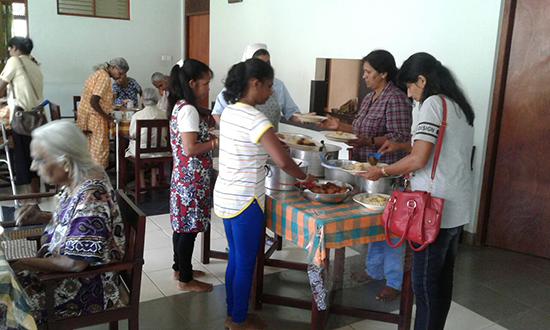 He made a Presentation on Sri Lanka Today and explained in detail how household consumption has been contracting for the last 5 quarters ( Source AC Nielsen) whilst overall growth has declined to 3.1% in Q1-2018( Source: Central Bank) which means that at the macro and micro end the situation is rough. 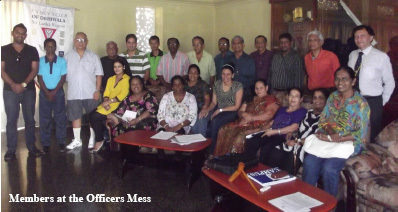 Given the fall in ' Governance'.....it is time that outstanding personalities in business voice at the correct forum for course correction. 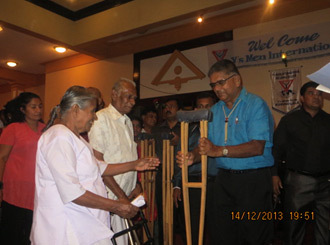 RD Prasantha De Silva then delivered his Valedictory address where he thanked his Board members individully for their services and extended a Very Big Thank You to all Regional Board Members who stood with him, extended their genuine support, for their encouraging words and joining in membership drives to distant places, which enabled him to complete the Y’s Year successfully . 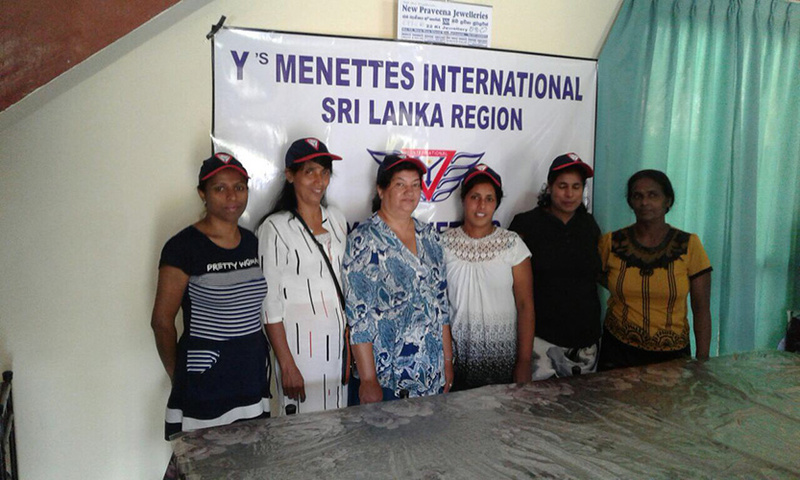 Finally he requested all Clubs and members to set aside all differences and join hands to uplift the Y’s Men Movement in Sri Lanka in the new Y’s Year and wished the incoming RD and his Regional Board all the very best for a hassle free and successful Y’s year. 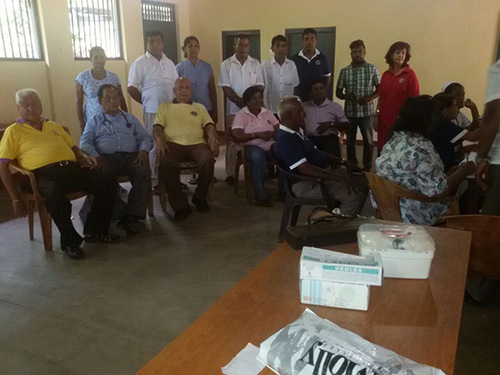 Then RD Ranarajah Seresinhe announced his Regional Team for the year 2018/19. 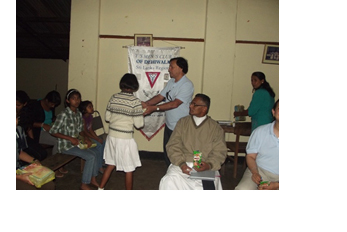 After presentation of Regional Awards, the Convention was concluded with the Holy Mass, followed by fellowship, dinner with music and dancing. 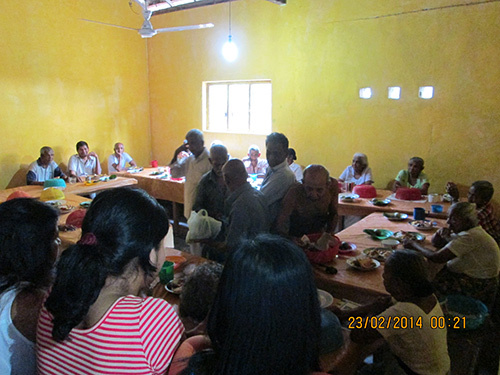 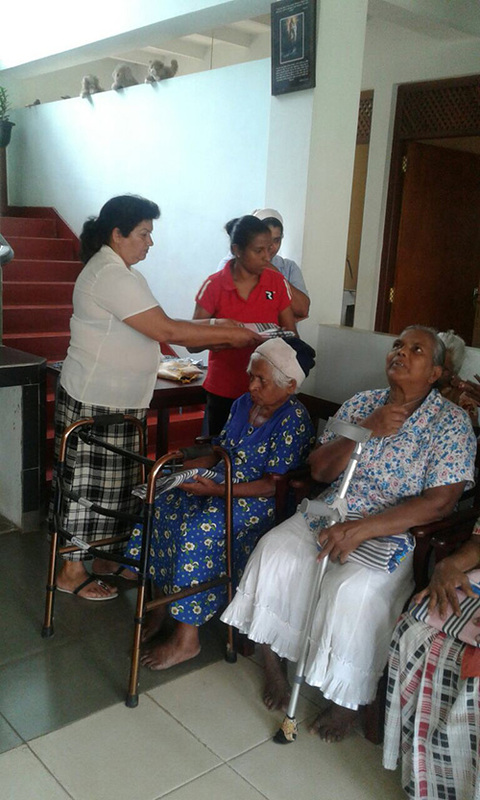 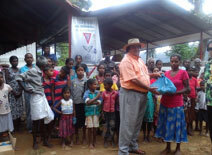 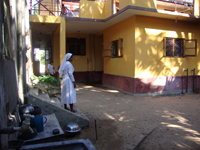 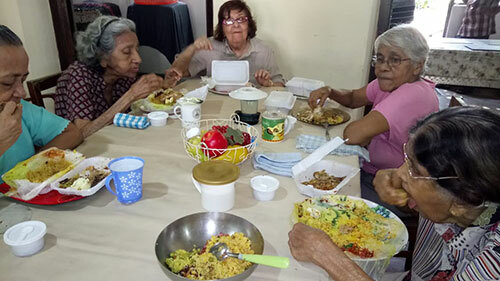 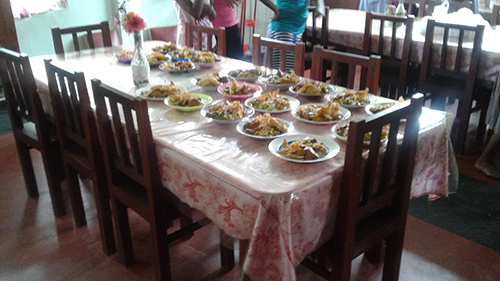 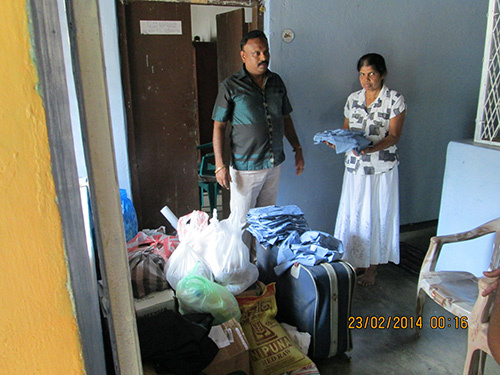 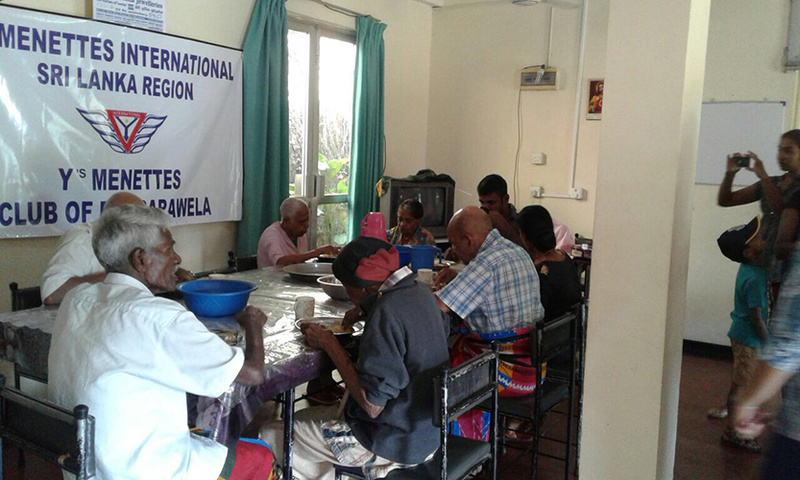 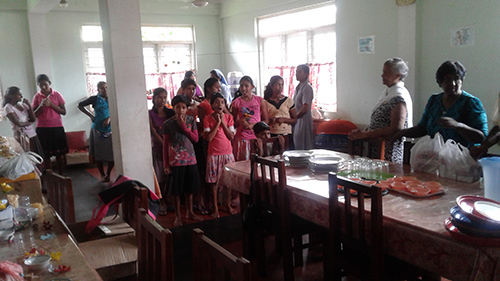 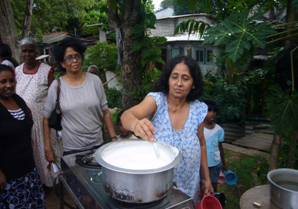 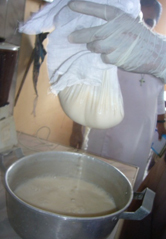 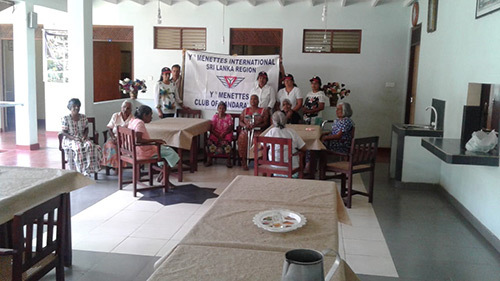 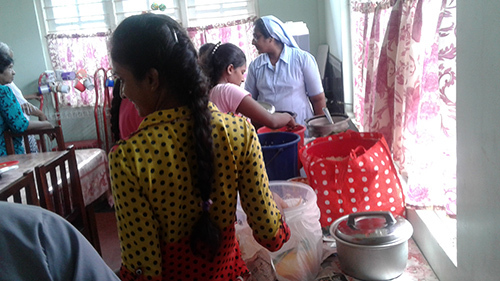 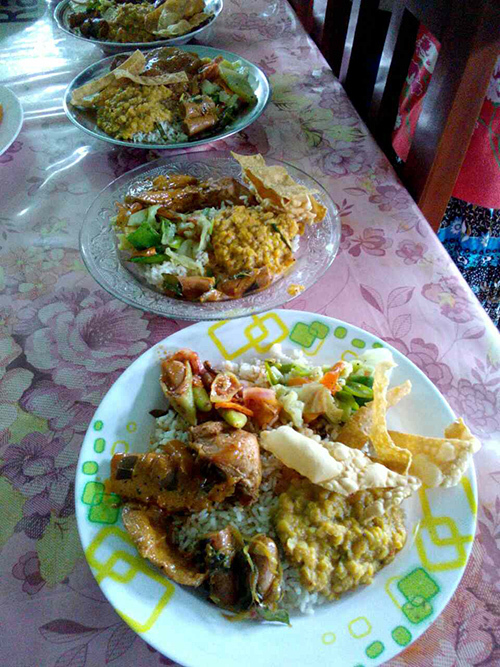 Y's Menettes Bandarawela club provided lunch to 15 elders at Dew Sarana Elders' home on 12th April as a Lenten Project. 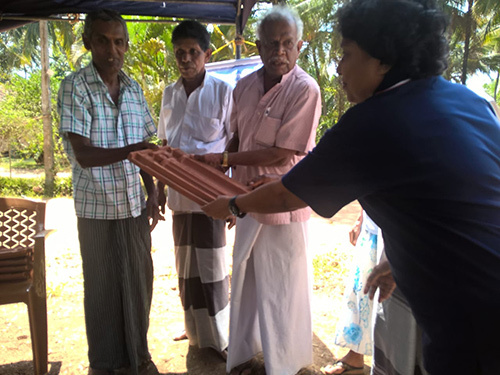 Y's Men's club of Kurunegala donated roof tiles to new community centre of Senior Citizens Society at MAKULWEWA at the cost of 120,000/= in February 2019. 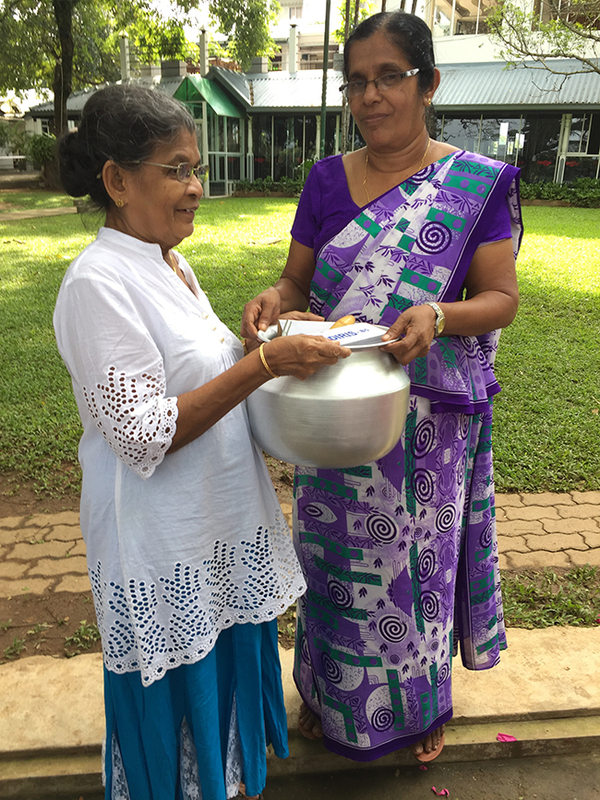 Y's Men's Club of Dehiwela did a special project at Dollosbage Tea Estate to mark the Hindu Light festival,Thai Pongal which was celebrated on 15 January 2019.. 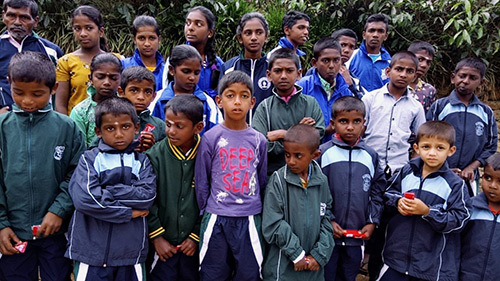 Donated 30 brand new imported Track Suits to these estate children for sports at their schools and Chocolates for 30 children. 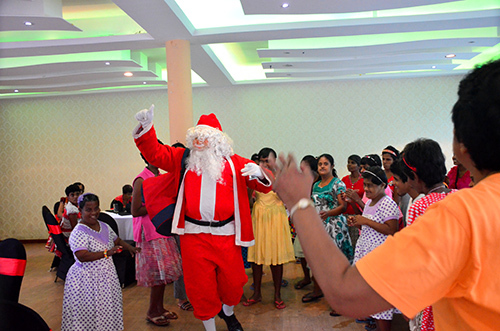 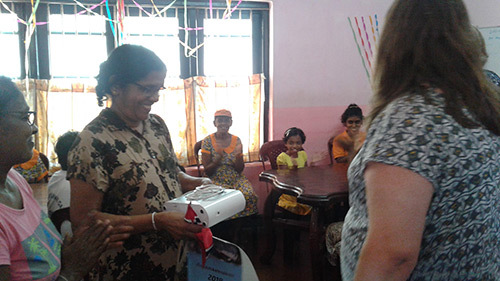 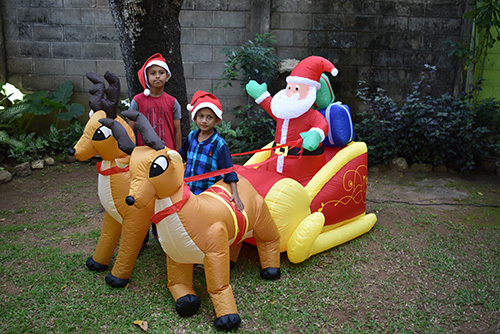 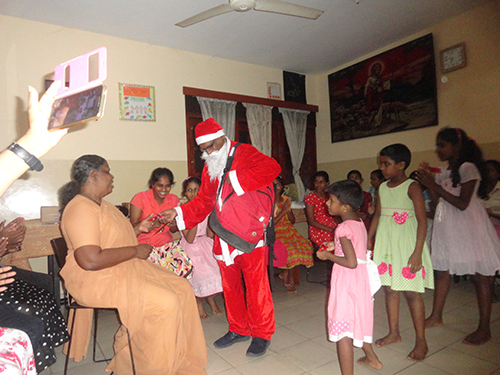 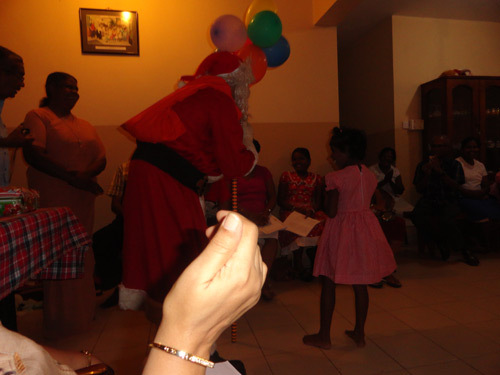 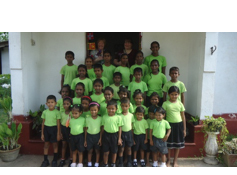 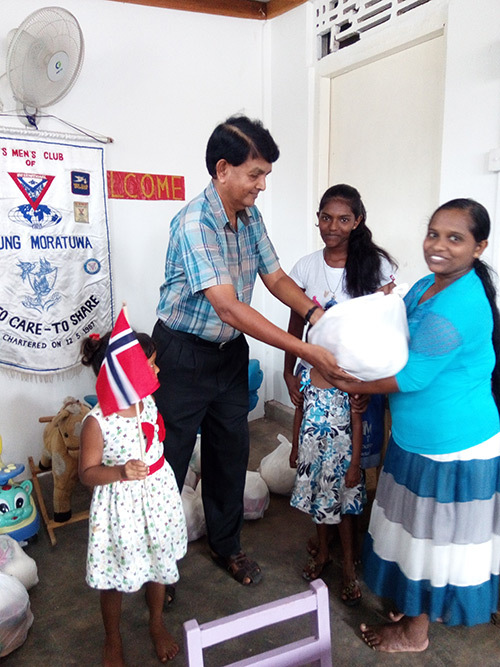 Elizabeth and Margerette of Norway donated Rs.120,000/- through Young Moratuwa club to the Blessings Child Care Centre for a Christmas Party which was held on 21st December. 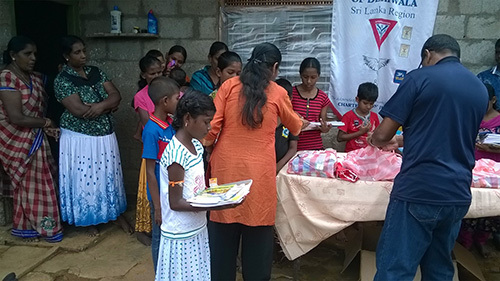 Members attended the function and distributed shoes and toys to the children and distributed dry rations to their parents. 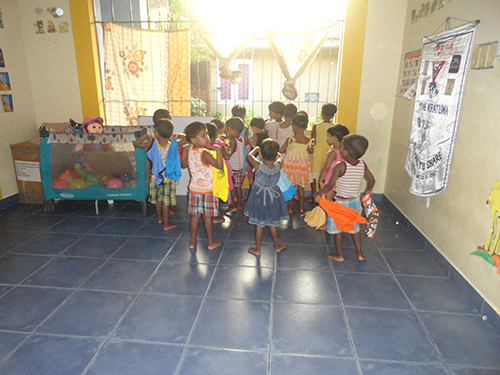 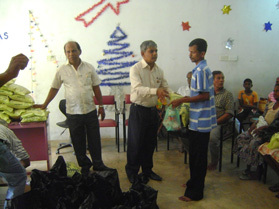 Also distributed soft toys to the children which was a gift from a well wisher. 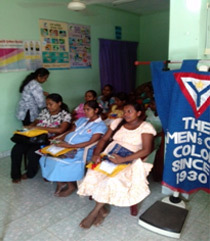 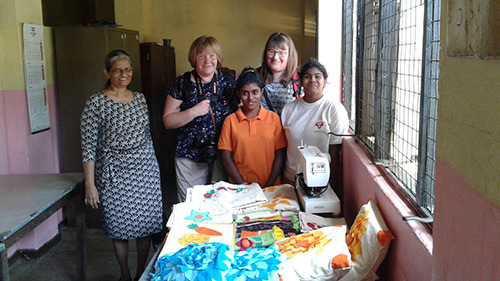 A used sewing machine to teach the single mothers to learn sewing for self employment was also gifted. 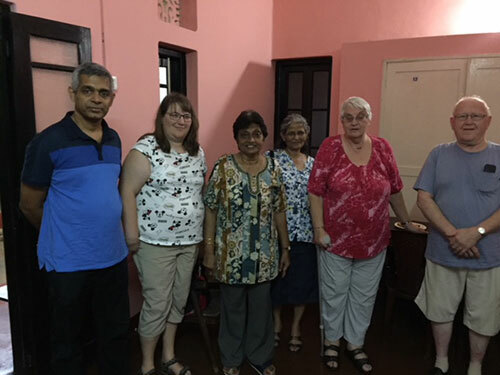 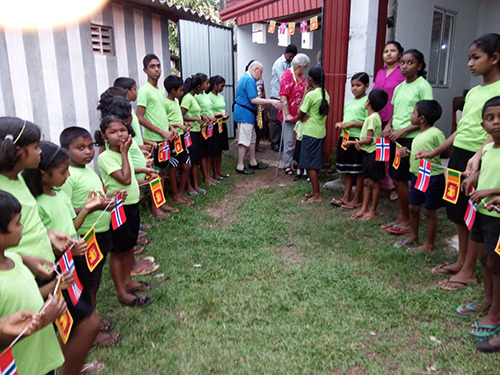 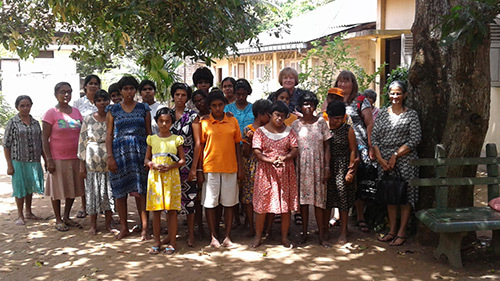 Elizabeth and Margerethe of Norway donated Rs.150,000/- through Young Moratuwa club to a fisher family in Egoda Uyana to re-build their dilapidated house. 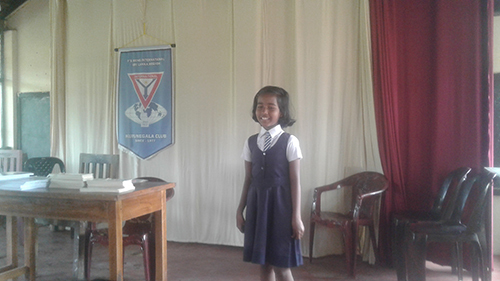 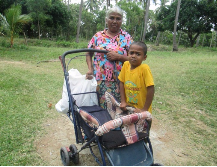 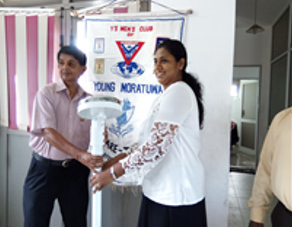 The balance amounting to Rs.250,000/- was funded by Regional Secretary/YL Suranganie of Young Moratuwa club, her sister and nephew. 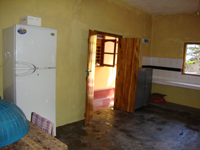 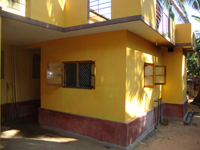 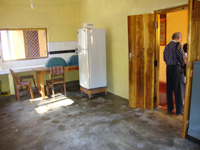 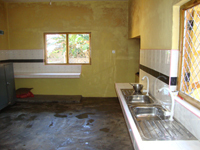 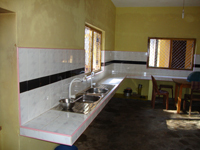 The total cost of the project - Rs.400,000/-. 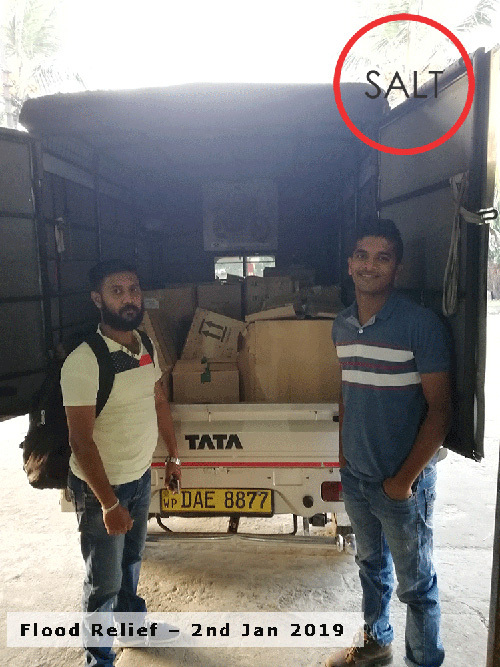 22 boxes of nearly new clothes of ladies, gents and children's and some shoes to the value of Rs.25,000/- were donated to 'SALT' organisation, which is a social service organisation on 29th December 2018, to be distributed among the flood victims of the Northern Province of Sri Lanka. 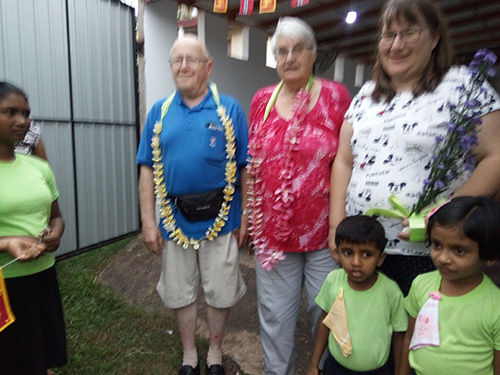 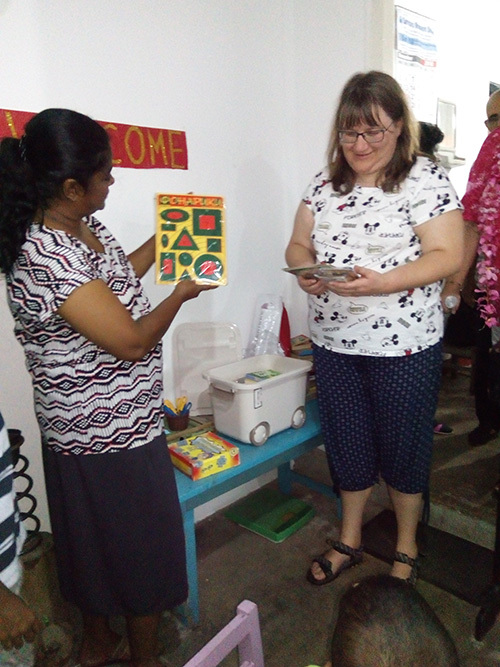 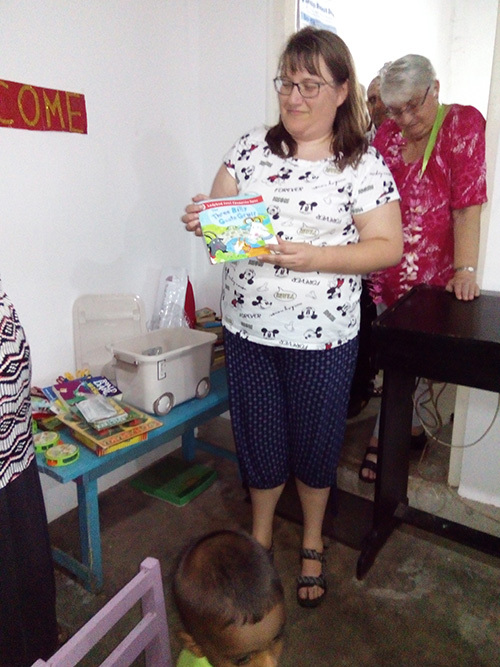 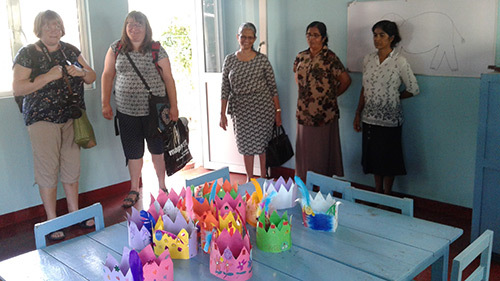 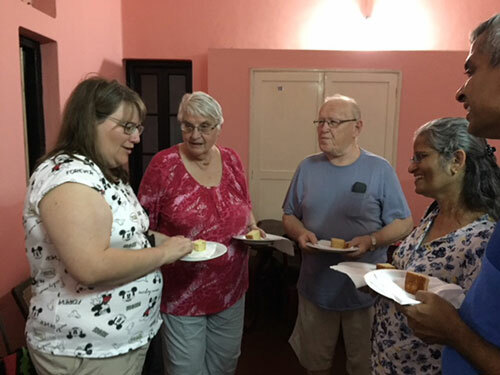 Margarthe Halvosen, of Norway, her father PRD Egil Odd and Mother Alice of Arendal Club visited Blessings Child Care Centre, Moratuwa on 5th November to ascertain the progress the Centre has made with the donations they have channelled through Young Moratuwa club. 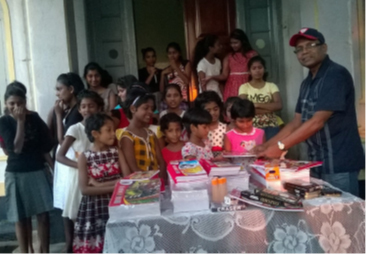 They also donated story books and distributed sweets for the children. 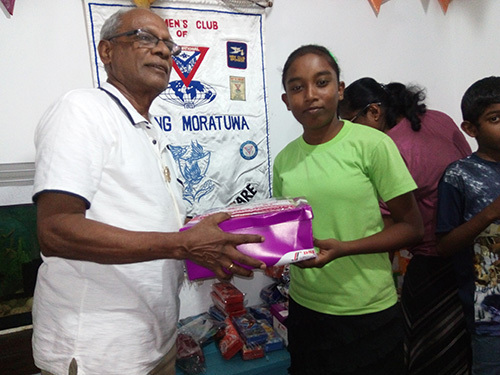 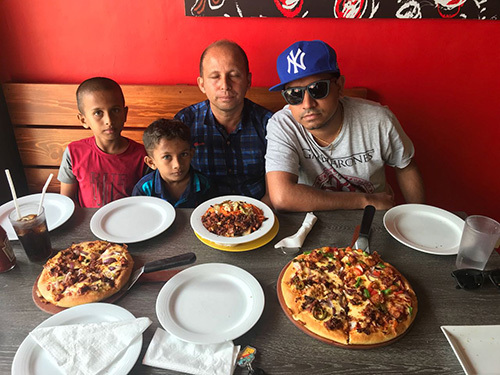 Young Moratuwa Club donated a Radio/CD Player to the Sarvodhaya Chilren's on 23rd December 2018. 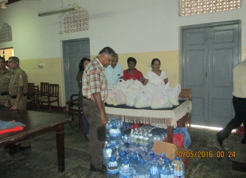 Dinner was also provided to the children. 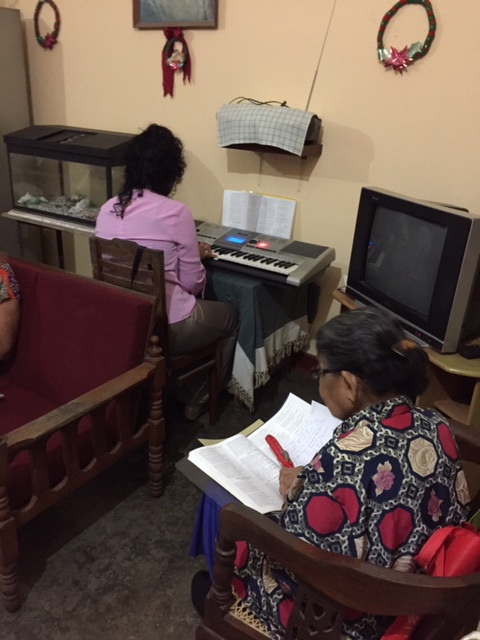 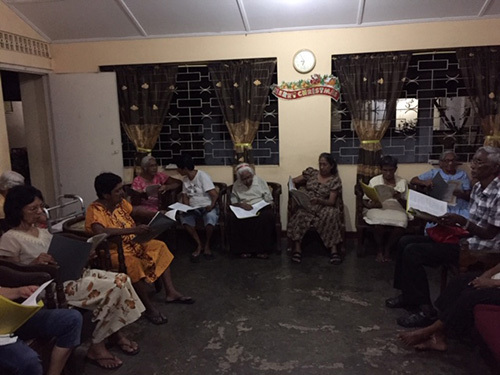 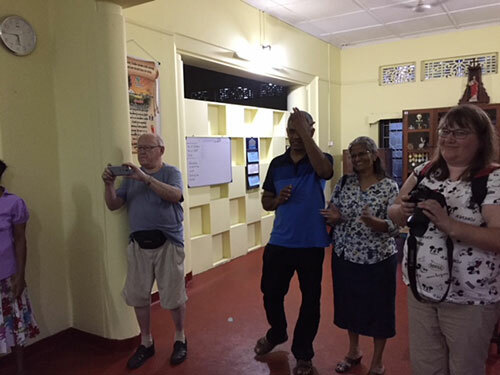 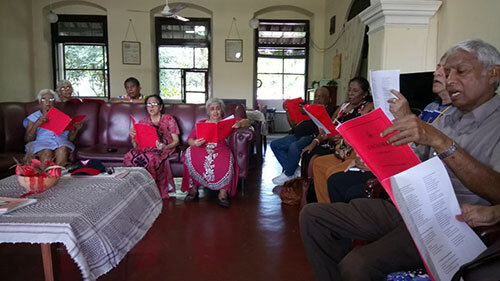 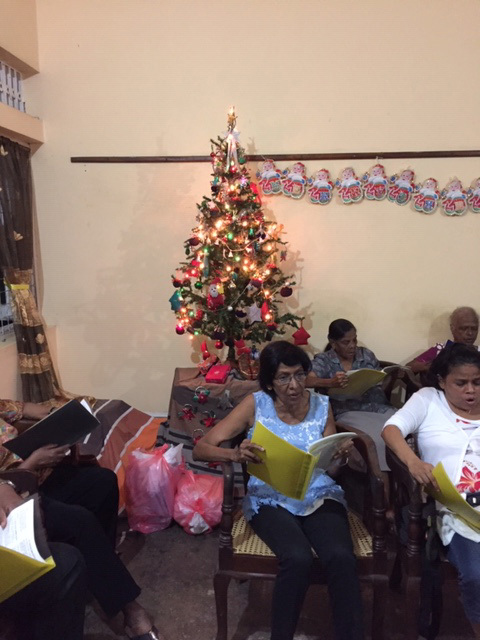 The Y's Men's Club of Moratuwa had an evening with Carols at the Methodist Elders Home in Moratumulla on 6th December 2018. 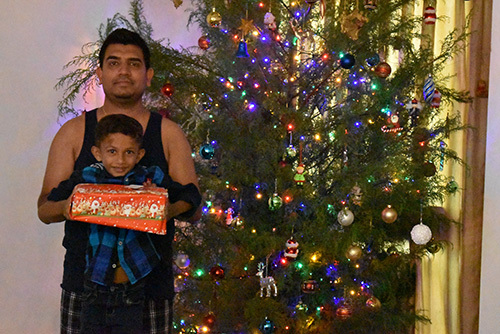 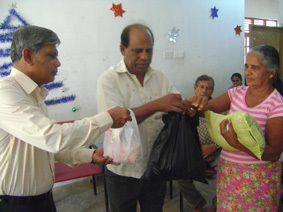 This was followed with gifts to them and dinner. 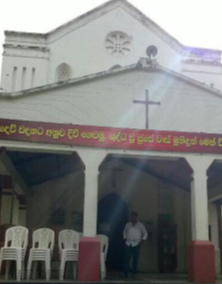 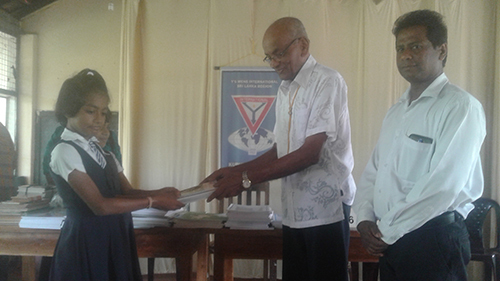 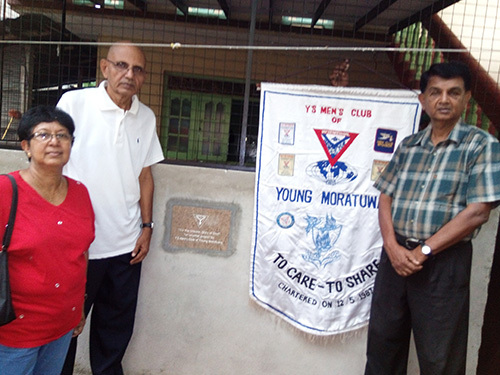 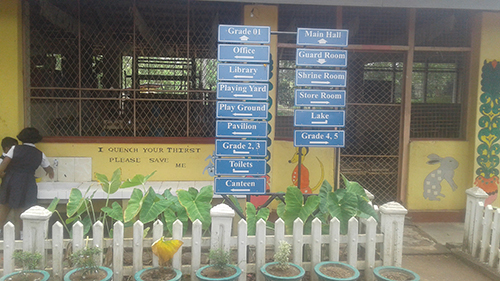 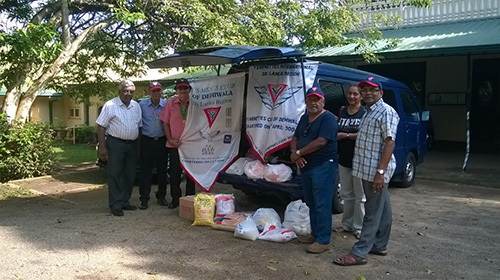 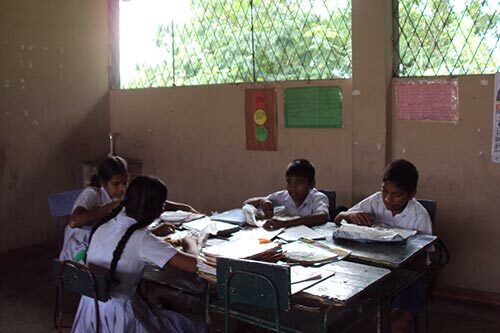 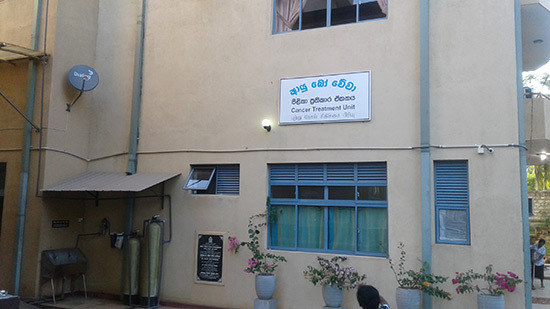 the YM Moratuwa club had donated an entire wing of the Home way back in 1984. 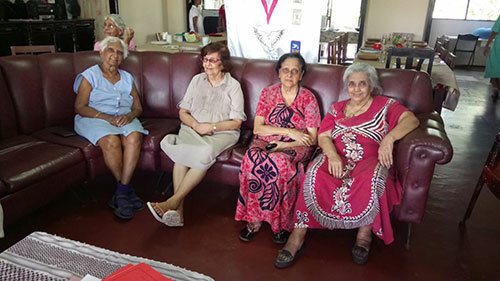 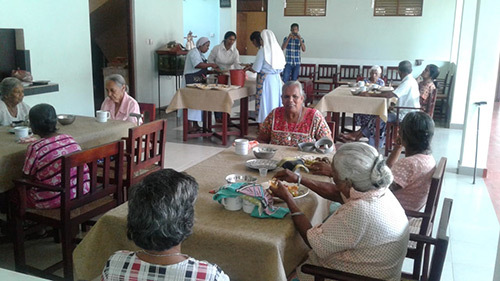 A special tea party with snacks followed and hymns and songs were sung organized by the Y's Menettes Club of Dehiwela at the Salvation Army Elders Home at Station Road Dehiwela on 22nd September 2018. 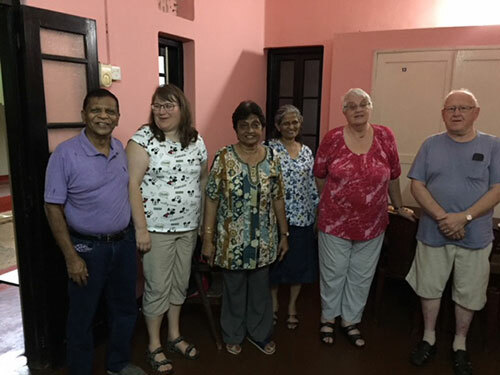 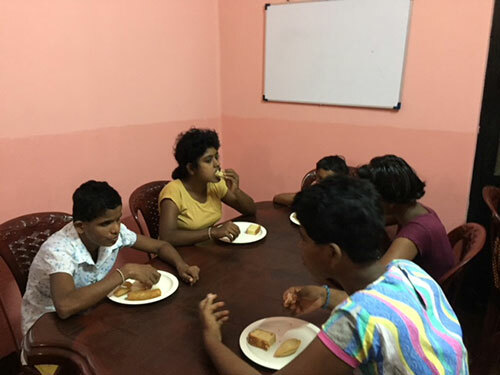 PRD Egil Odd Halvorsen, his Menette and daughter Margurite of Arendhal Y's Men's club were entertained to tea by the Y's Men's Club Moratuwa on 4th November 2018 during their visit to the Mentally Retarded Girls Home Moratuwa (Now called SURASA). 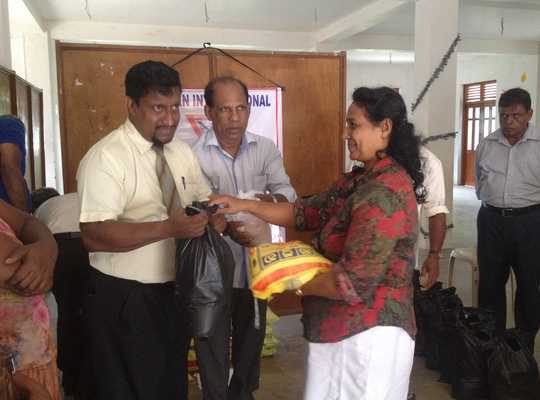 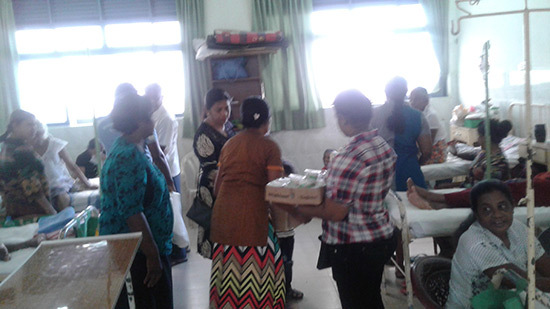 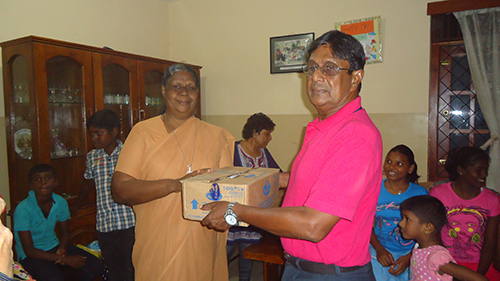 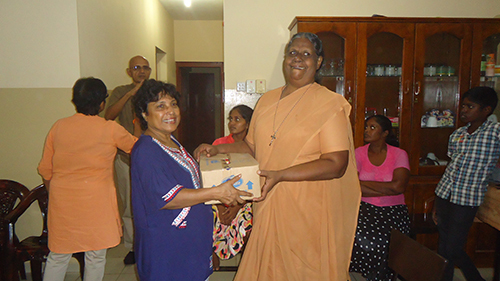 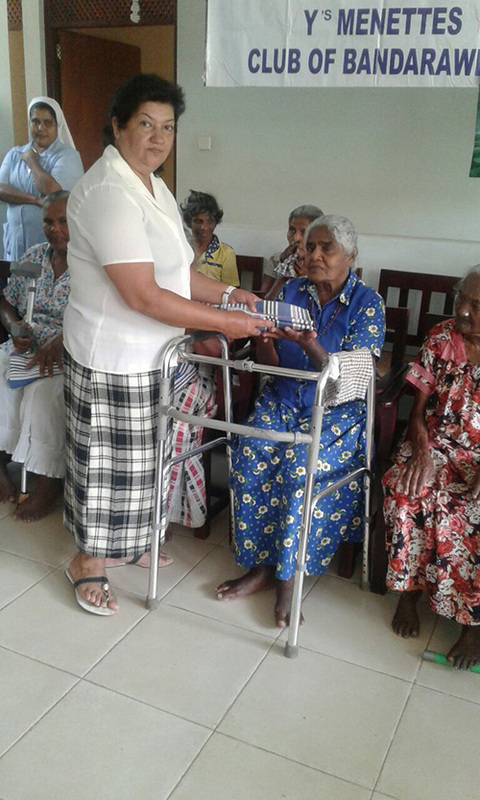 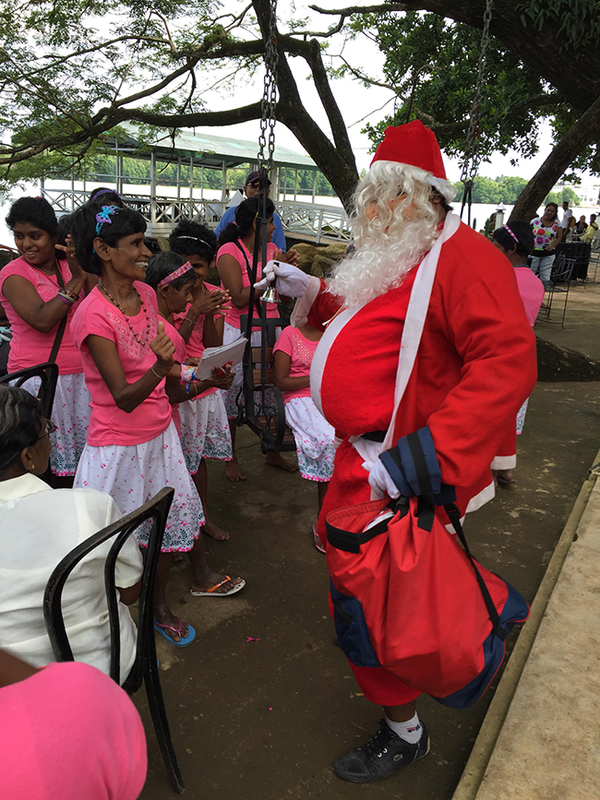 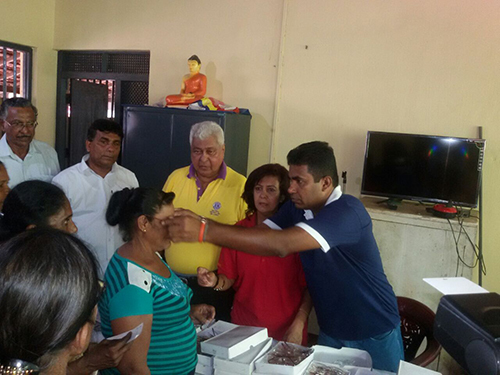 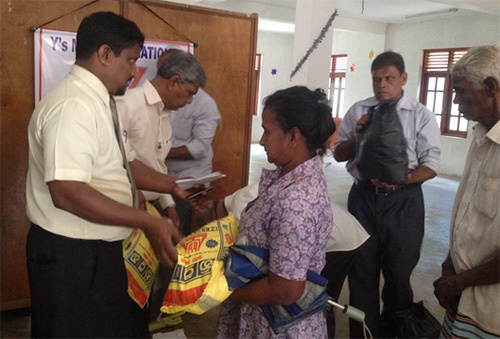 The inmates were also given chocolates by the Moratuwa Club. 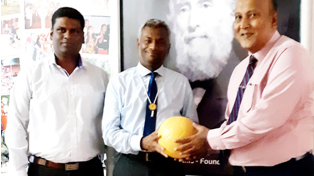 Colombo club handed over these (size 4), 20 Chevrolet One World Play Project Futbols to Y’s Men’s club of Moratuwa to be distributed to Moratuwa area’s deserving sports associations specially with youngsters yearning to be nation’s future sportsmen. 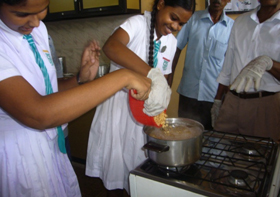 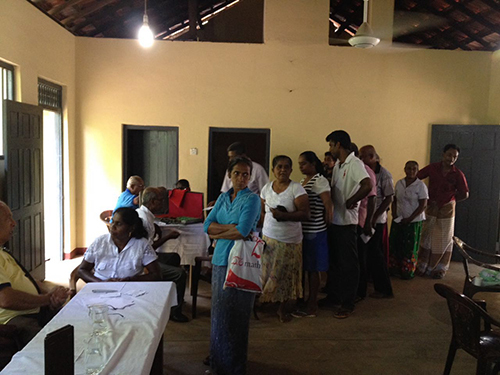 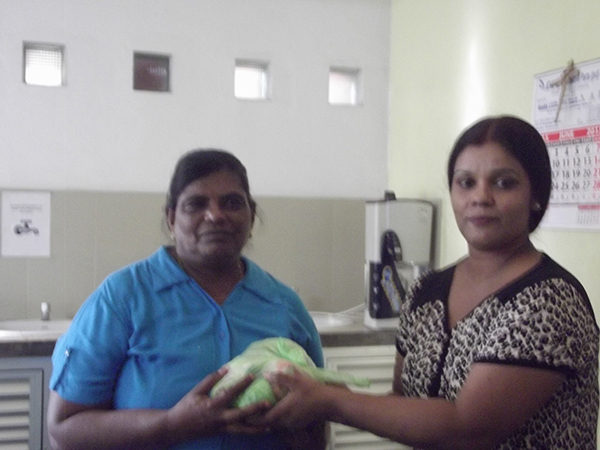 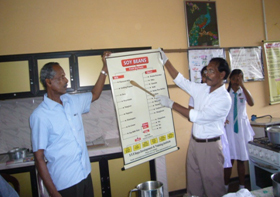 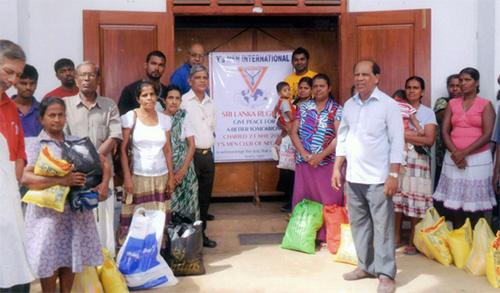 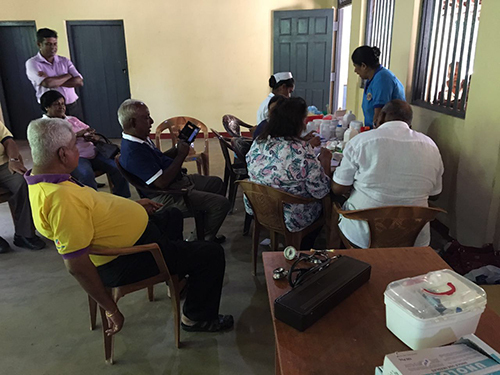 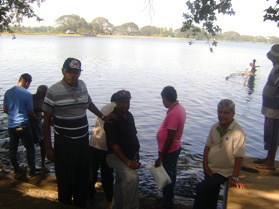 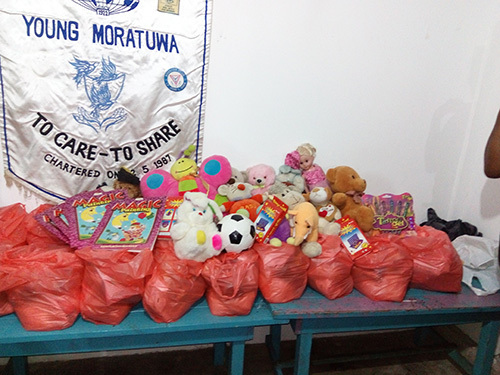 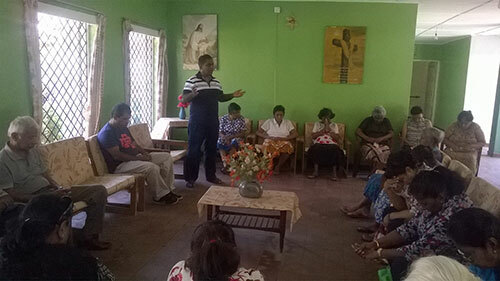 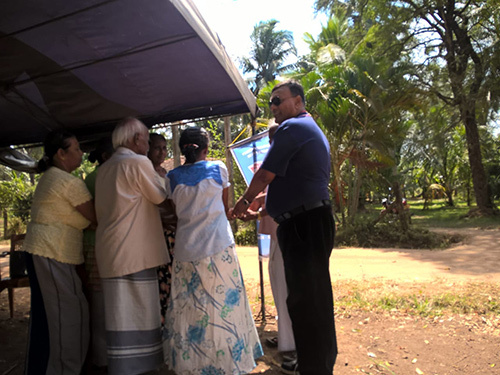 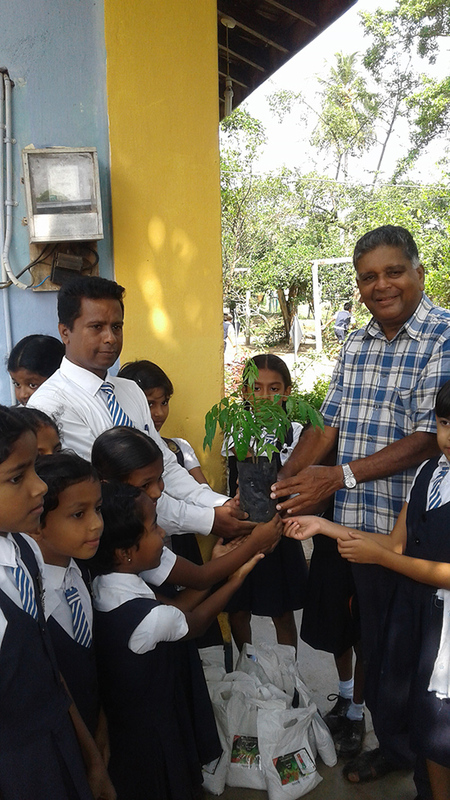 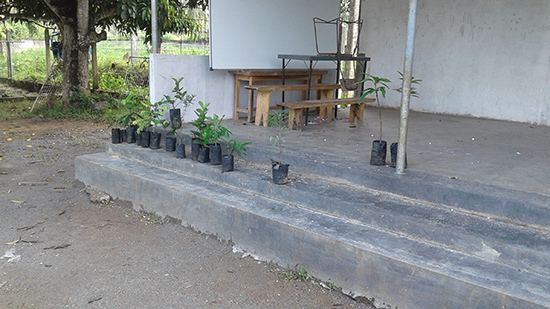 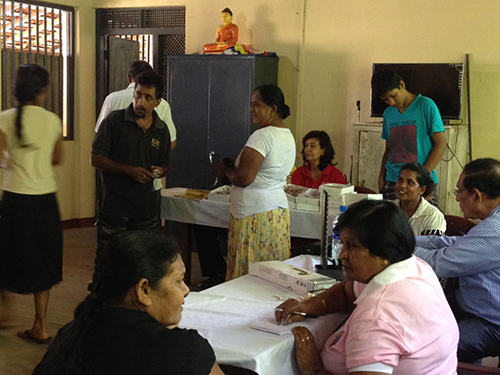 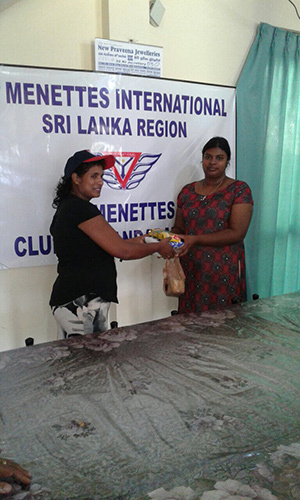 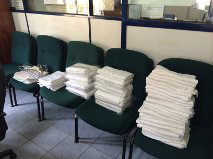 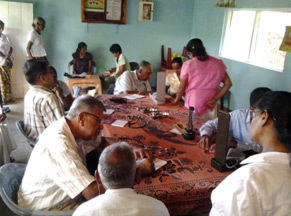 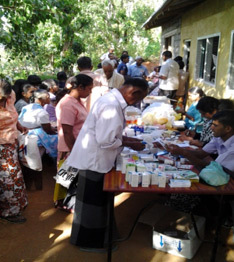 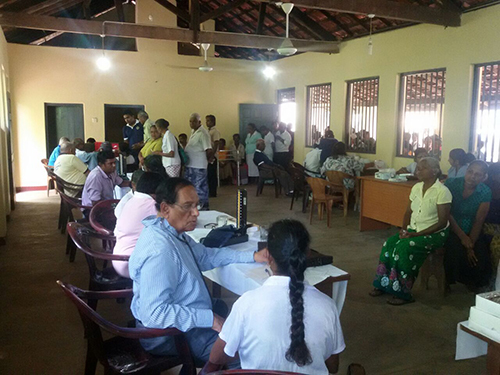 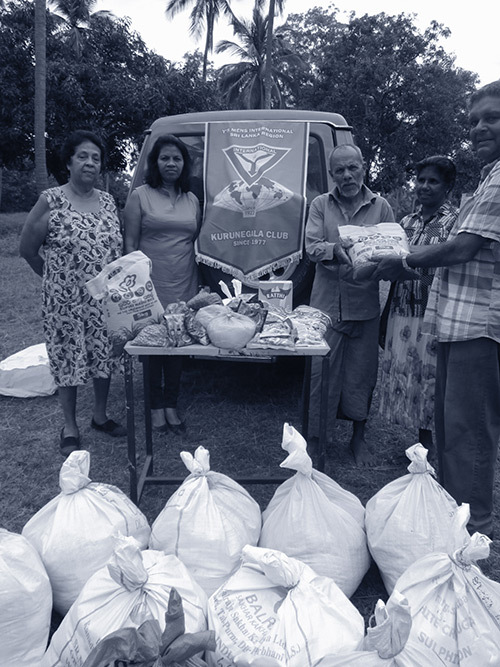 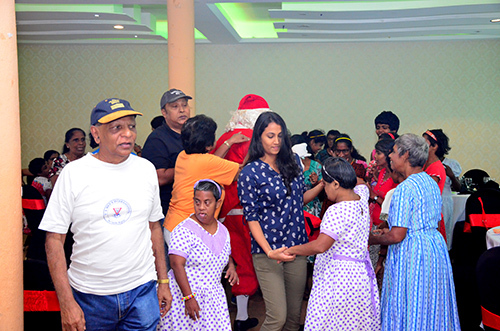 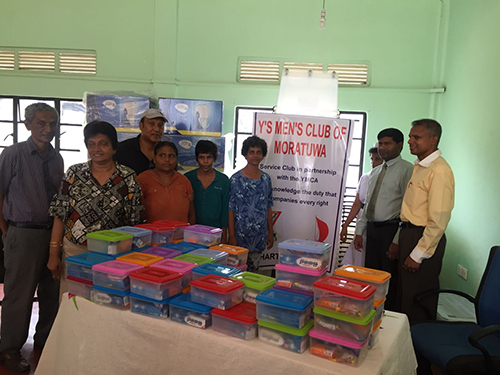 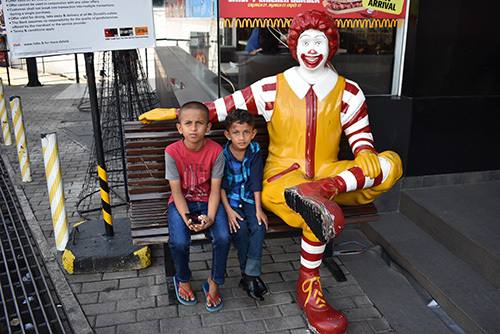 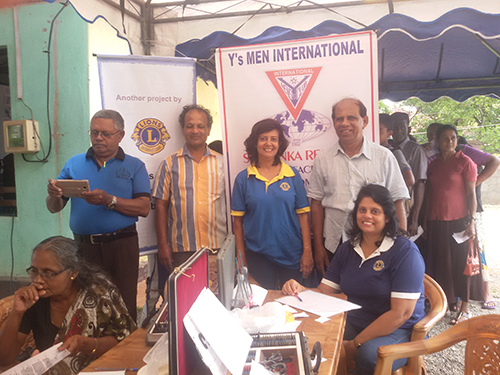 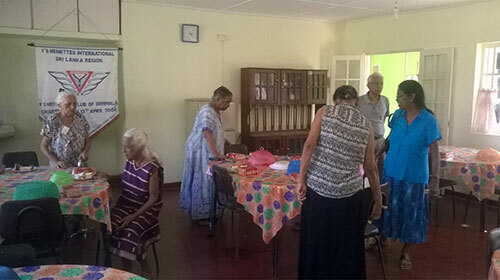 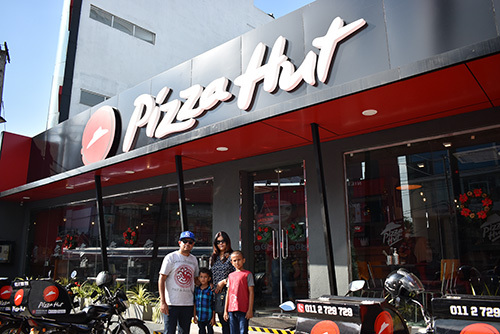 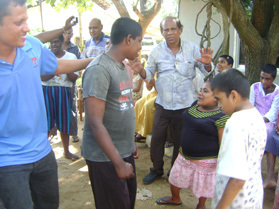 A joint Community Service Project of Colombo and Moratuwa Y’s Men’s clubs. 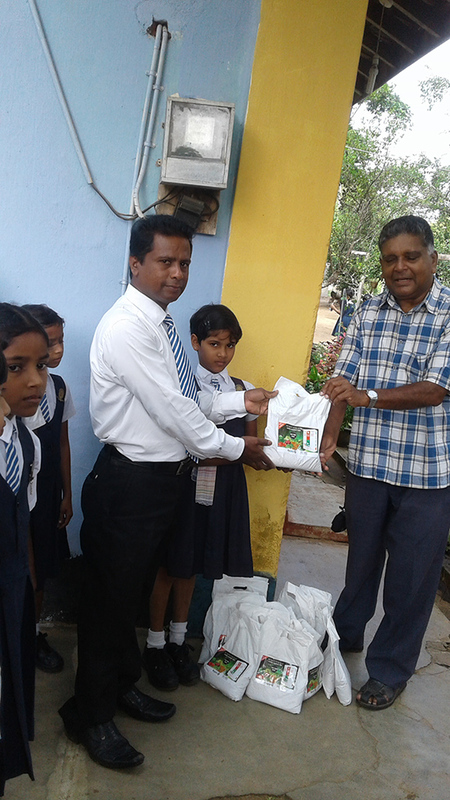 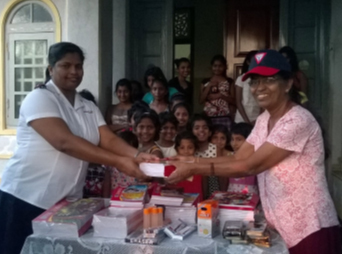 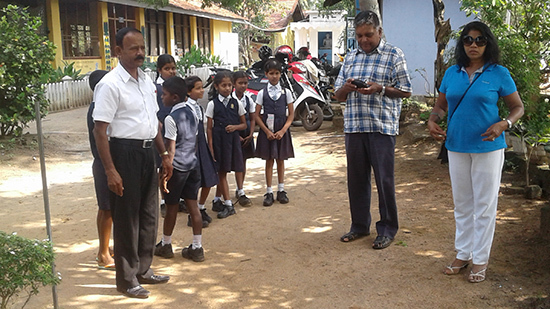 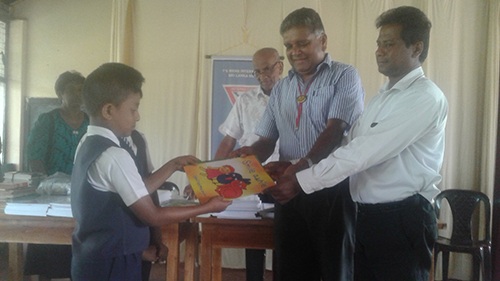 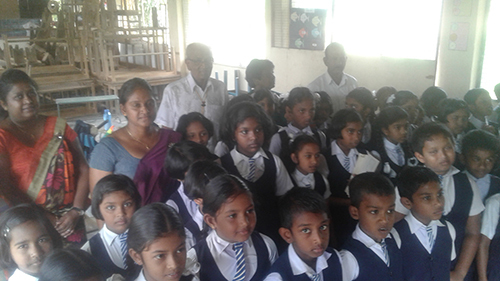 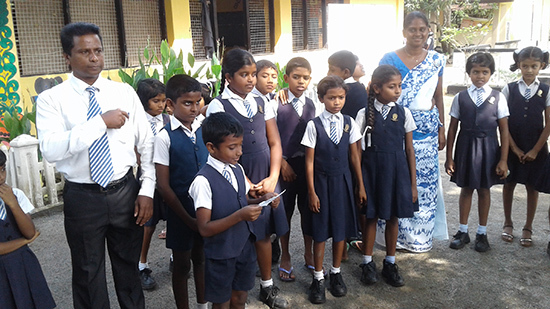 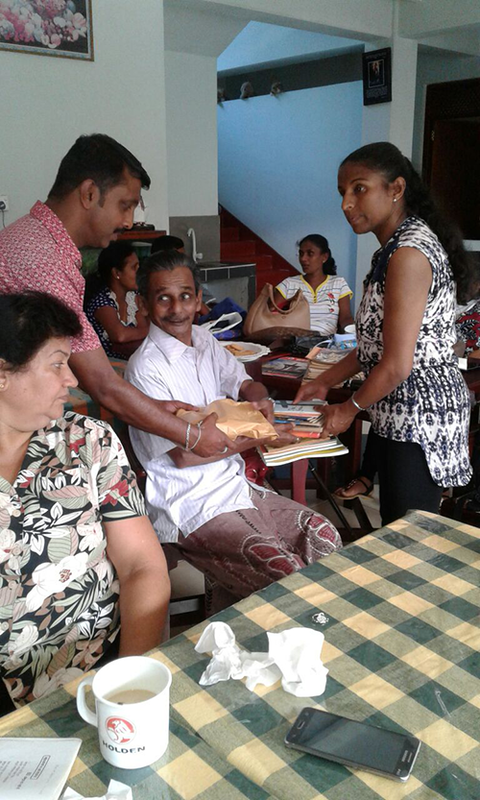 DISTRIBUTION OF ENGLISH STORY BOOKS AND 520 MATH FLASH CARDS TO WAYAMBA SHILPALOKA VIYALAYA . 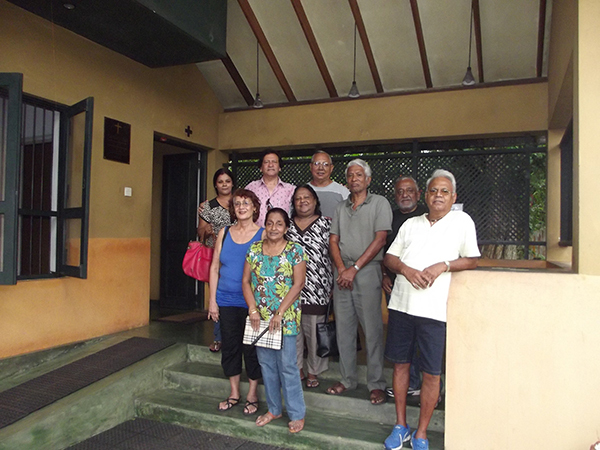 A JOINT PROJECT BY COLOMBO+KURUNEGALA CLUBS. 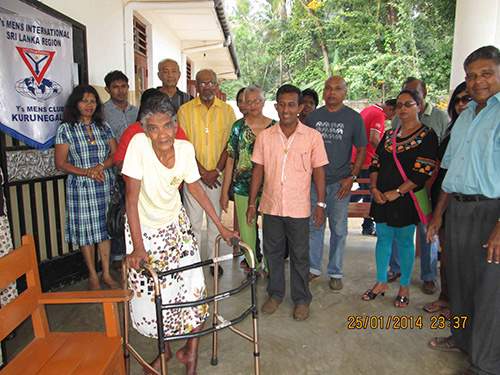 The Members of the Y's Men's Club Moratuwa together with Elisabeth Halvorsen and her friend from Arendhal Y's men's Club Norway(Their brother club), visited the Home for the differently able girls at Katukurunda Moratuwa where they have been associated with for the past 35 years handed over gifts and money amounting to Rs 39,000/- consisting of clothing materials etc specially for the oncoming 50th anniversary of the Home. 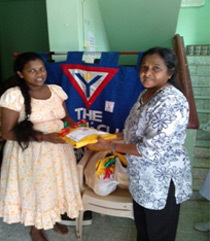 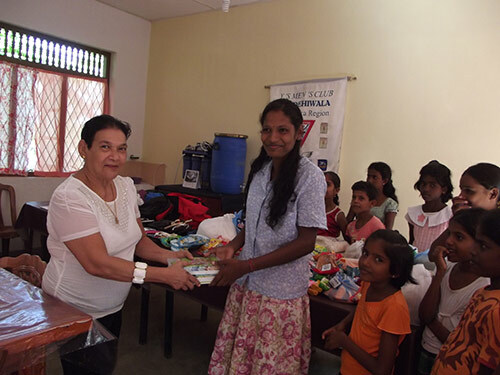 Elizabeth and Margarethe of Arendal Y's Men's Club donated equipment for Pre-school, Electric organ and 30 consumer durable packs through Y’s Men Club of Young Moratuwa to the value of Rs.100,000/- to Blessings Child Centre, Indibedda, Moratuwa on 22nd July. 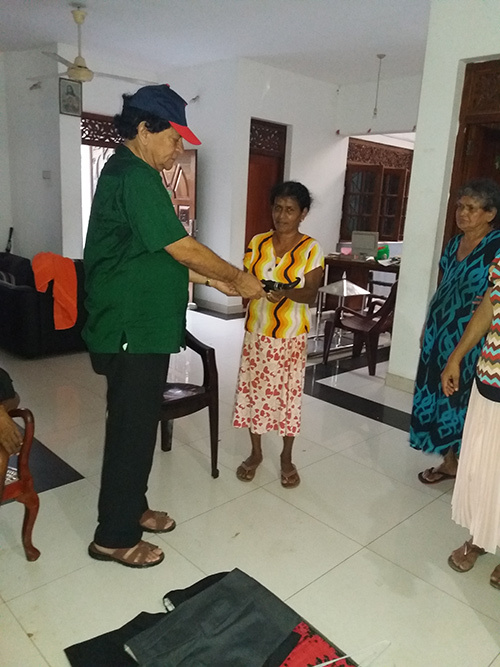 Elizabeth and Margerethe of Arendal Y's Men's Club through Y’s Men Club of Young Moratuwa donated Rs.70,000/- to Dinesh of Matugama to finish the balance work of his half built house. 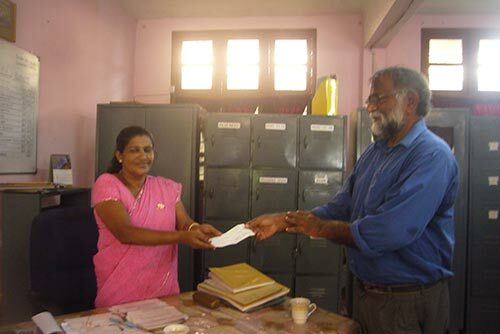 Handed over the cheque on 26th July 2018. 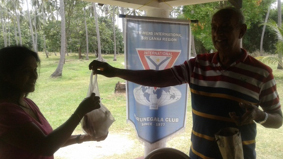 Kurunegala club distributed 7 varieties of vegetable seeds with bag of carbonic fertiliser among 15 farmers to cultivate their paddy fields on 7th July 2017. 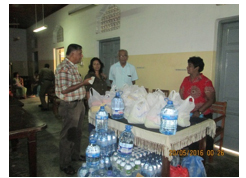 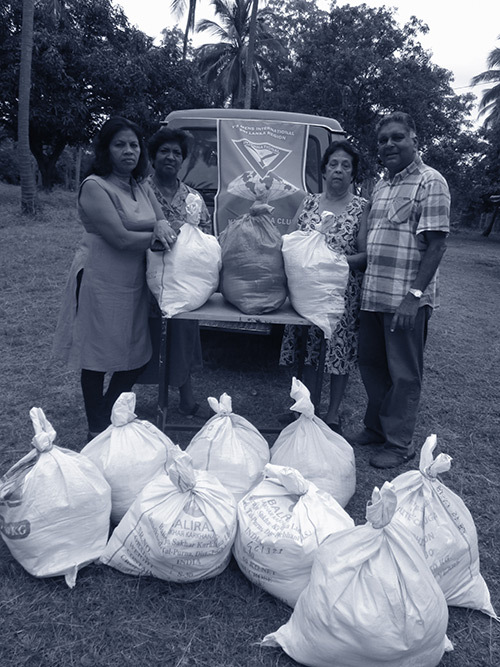 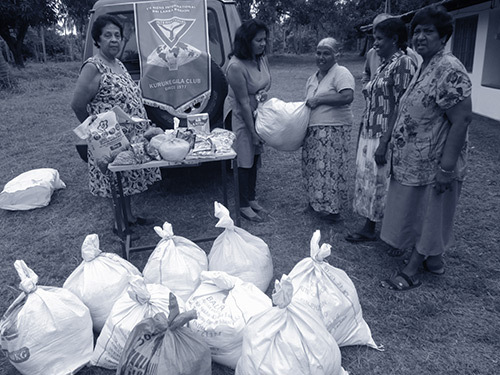 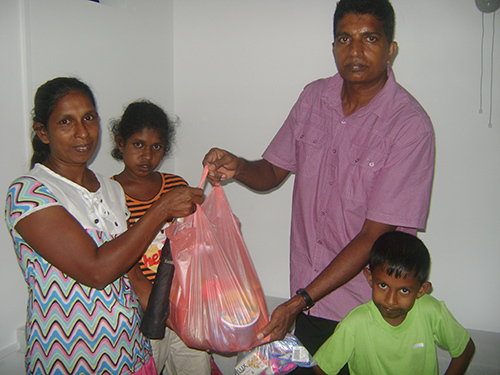 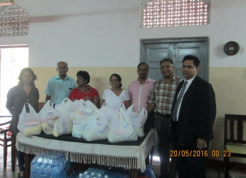 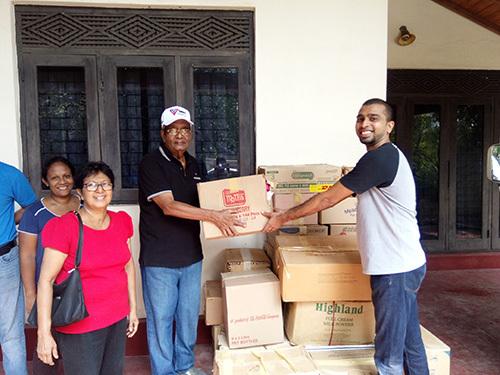 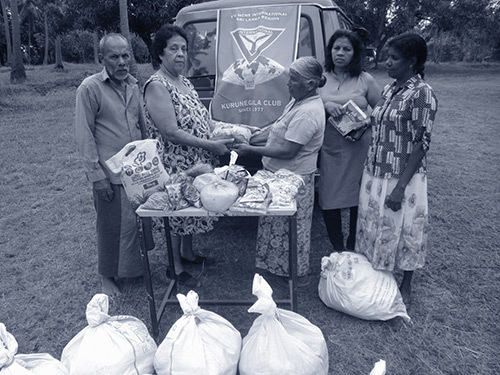 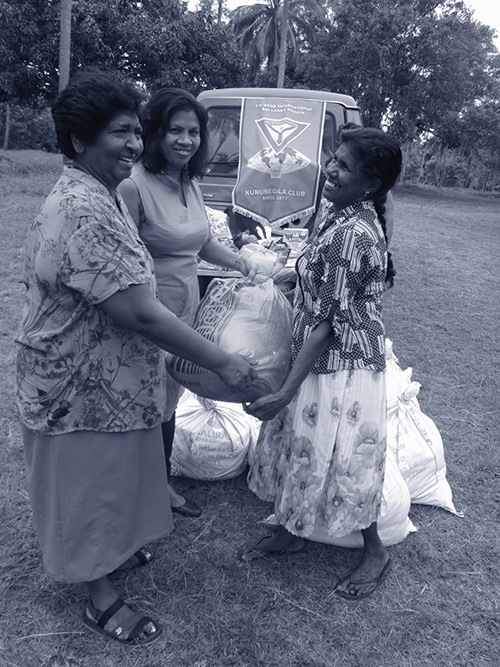 ON 29TH MAY 2018, A ​VAN FULL OF DRY RATIONS WERE DONATED BY THE DEHIWELA CLUB TOWARDS VICTIMS OF THE FLOODS IN THE CHILAW AREA AS AN IMMEDIATE ​FLOOD DISASTER RELIEF. 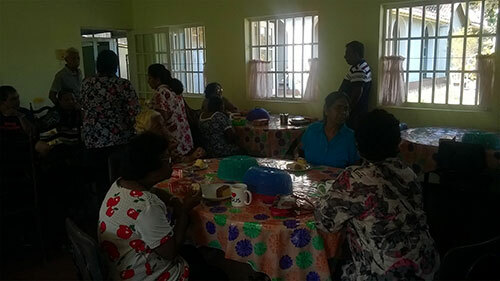 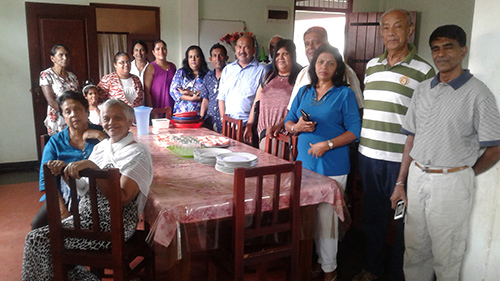 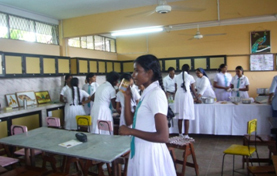 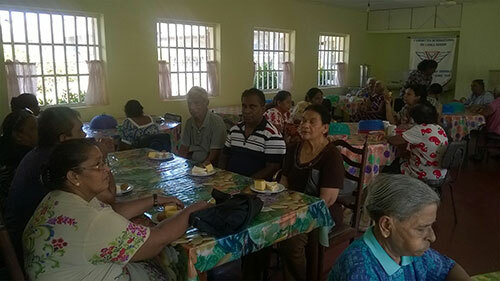 KURUNEGALA CLUB ORGANIZED BREAKFAST TO WARD NOS. 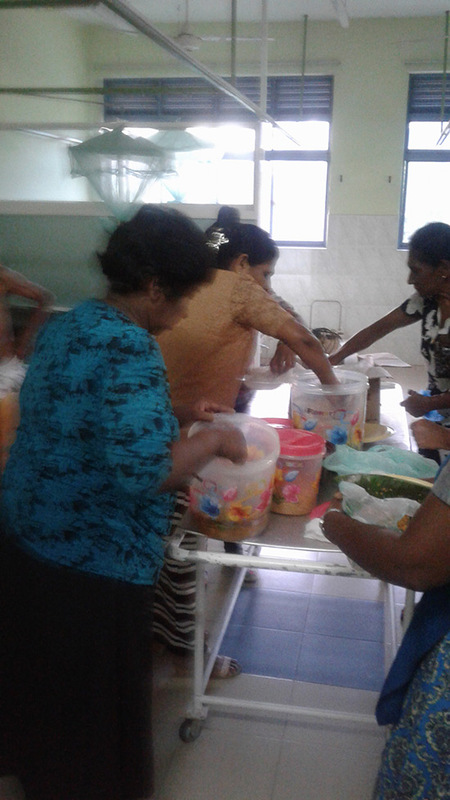 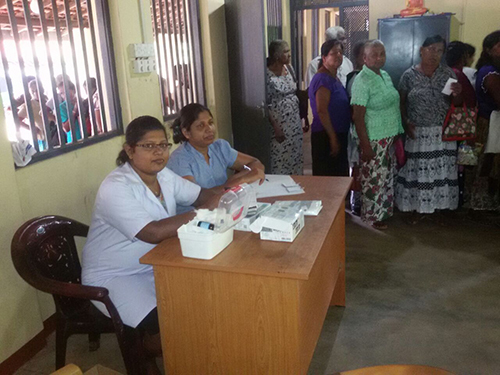 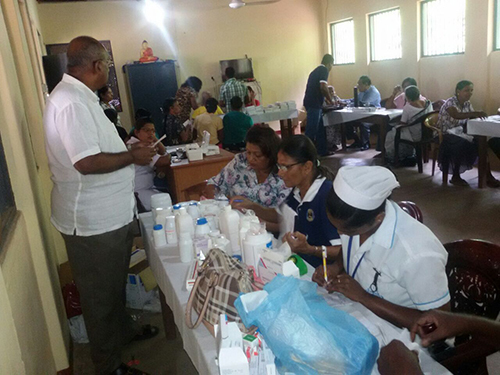 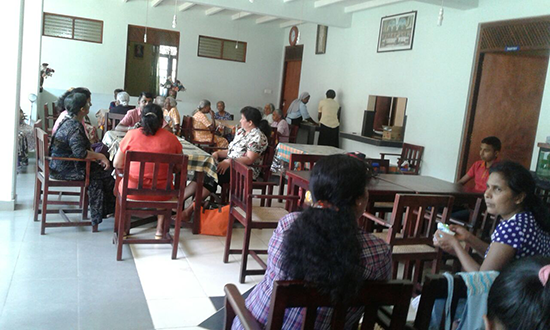 48, 49 AND 50 OF "AYU BO WEWA" CANCER UNIT AT GENERAL HOSPITAL KURUNEGALA ON 11 APRIL 2018. 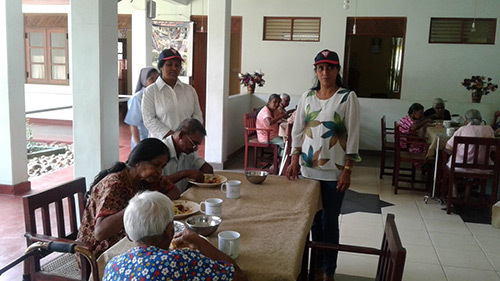 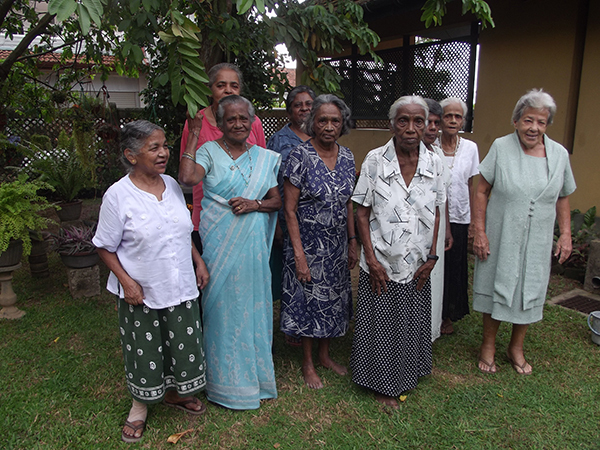 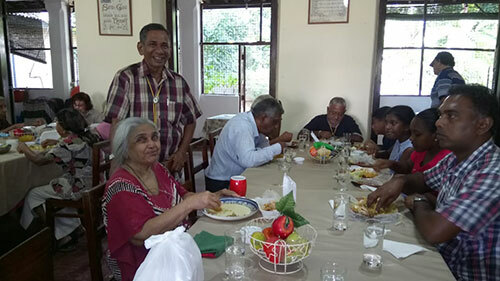 Marking the Sinhala andTAMILNew Year​ ​on 17 April 2018, the Y's Menettes Club of Bandarawela treated 14 Elders and 4 staff of the Elders' Home at Hali Ella, with a special New Year lunch. 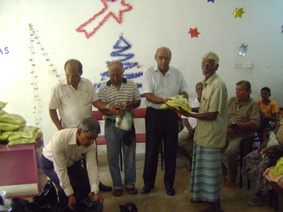 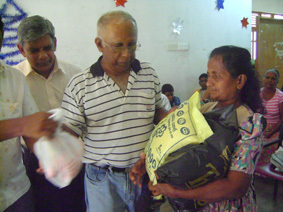 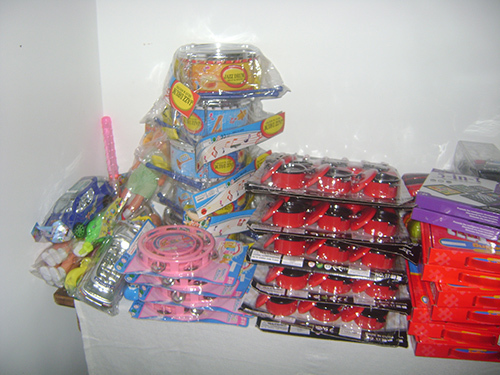 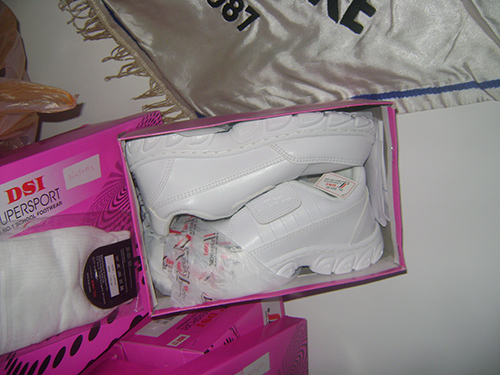 They also donated a gift pack to each elderly person. 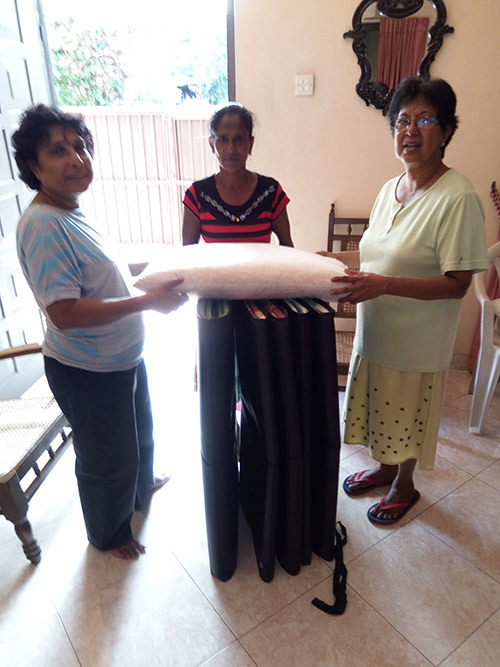 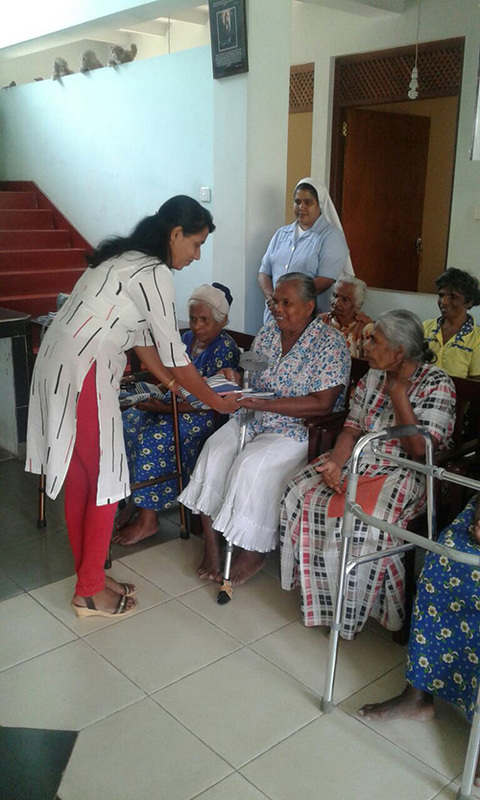 Y's Men Club of Young Moratuwa donated 7 folding mattresses and 7 pillows to deserving poor people of our community on 11th March 2018. 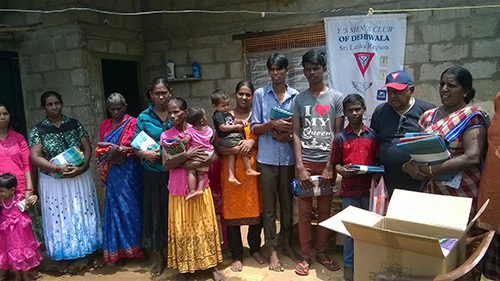 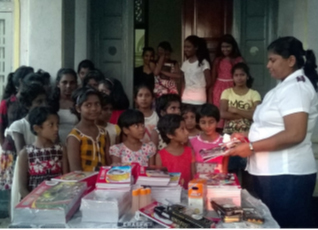 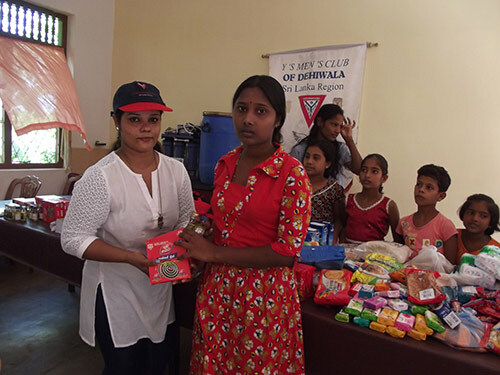 Y's Men's Club of Dehiwela conducted another special Lenten charity project at Deraniyagala Estate on 17th March 2018 and donated Clothes, School Books ,Stationary, Reading Glasses and eatables to 30 estate workers and children of the estate workers. 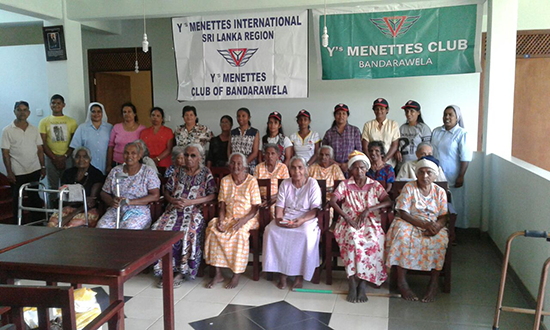 LENTEN CHARITY PROJECT DONE BY THE Y's MENETTES CLUB OF BANDARAWELA at the DEV SUWA SEVANA Elders home Hali Ella near Bandarawela. 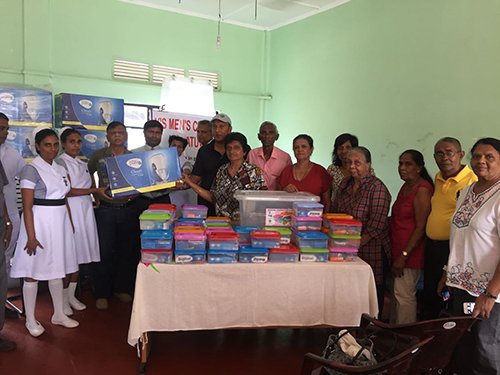 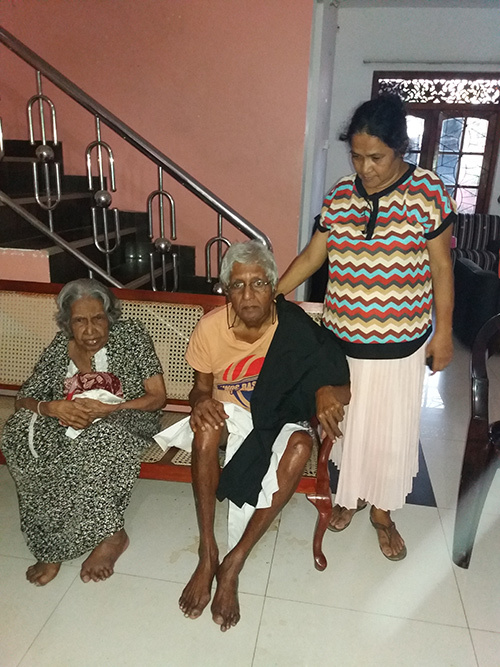 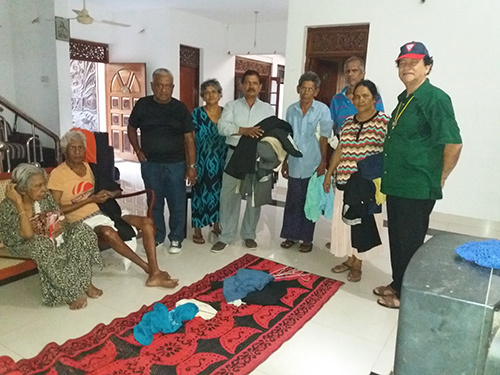 The 14 elders and 4 staff of this Elders'home at Hali Ella were donated bed sheets, linen and toiletries like soap, toothpaste and tooth brushes valued at Rs 30,000/-on the 26th March 2018. 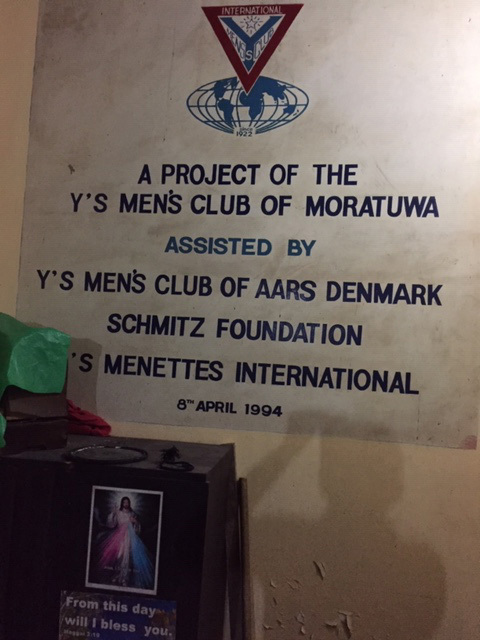 Y's Men Club of Young Moratuwa built and donated a Recreation Room for the inmates of the David Jayasundera Home for Elders - Panadura. 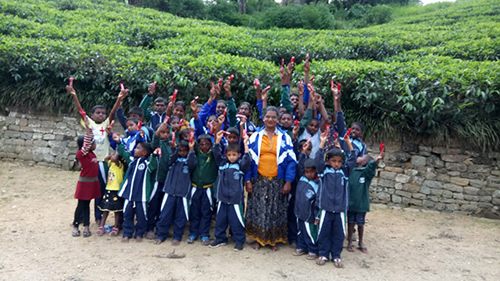 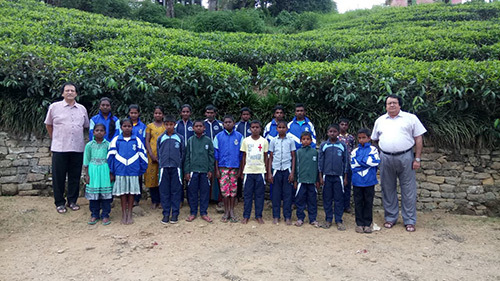 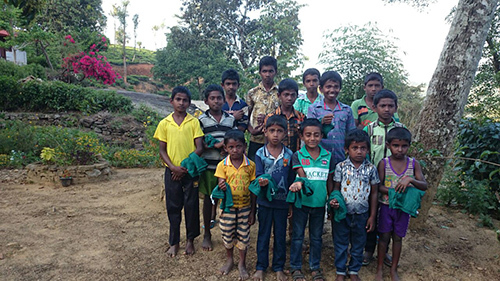 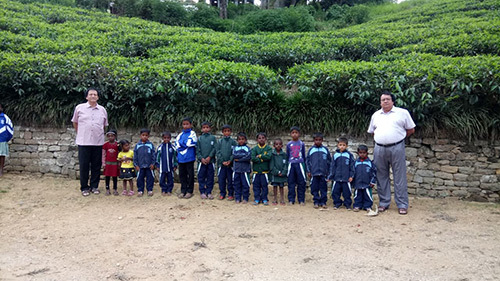 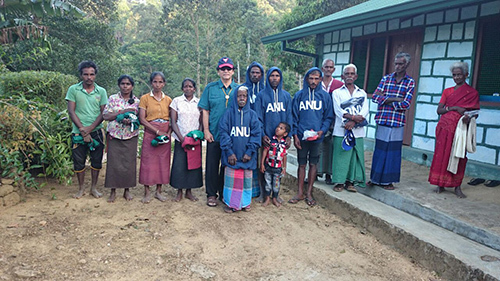 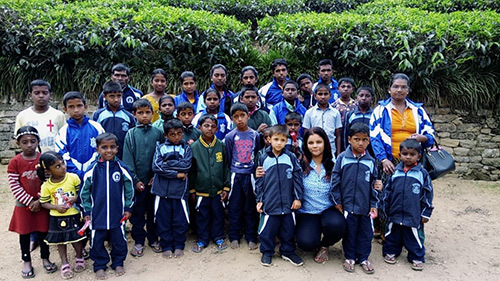 The Y's Men's Club of Dehiwela distributed warm clothing Hoodies, Shorts, Tee shirts and Reading glasses to 20 Estate Tea Pluckers and their families at a tea Estate off Nawalapitiya and 09 persons at the "Boys Town Nawalapitiya" in the upcountry of Sri Lanka to mark LENT 2018. 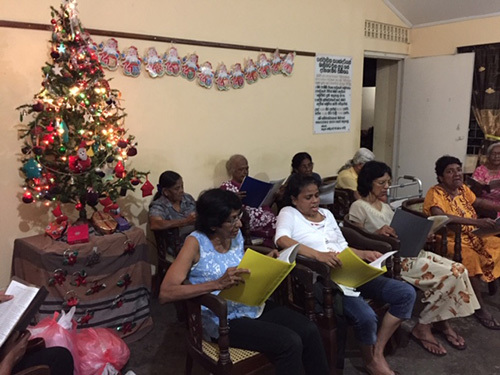 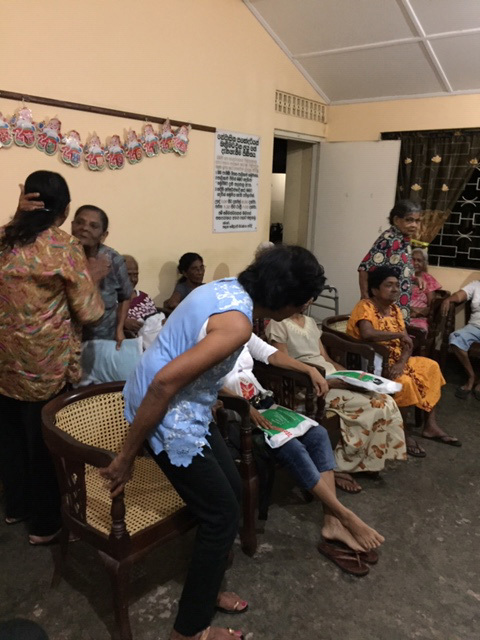 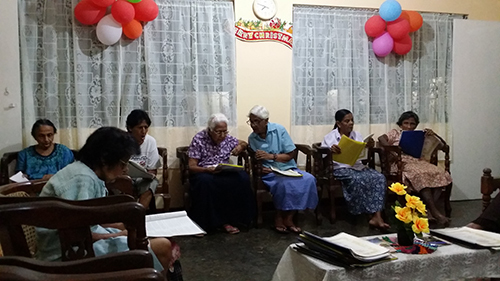 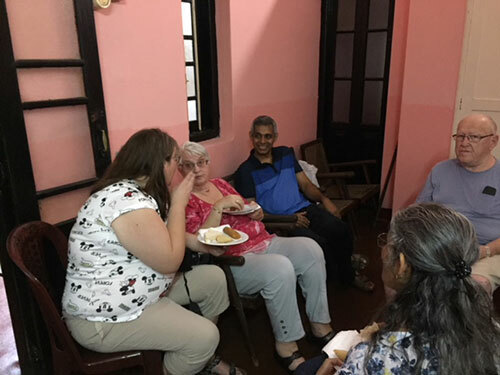 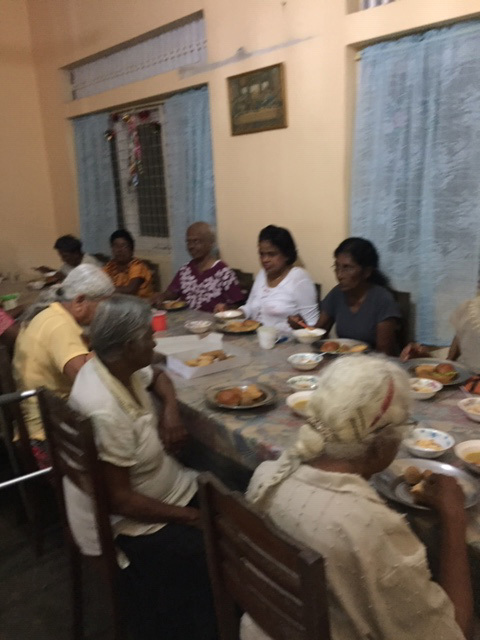 Y's Men's Club Moratuwa had an evening with the Elders of the Methodist Women's Home in Moratumulla Moratuwa on Wednesday 6th December 2017 with carols and dinner. 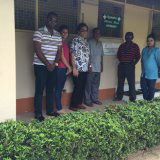 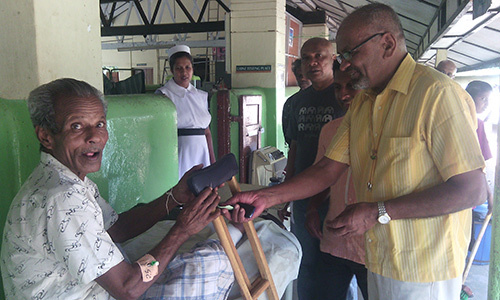 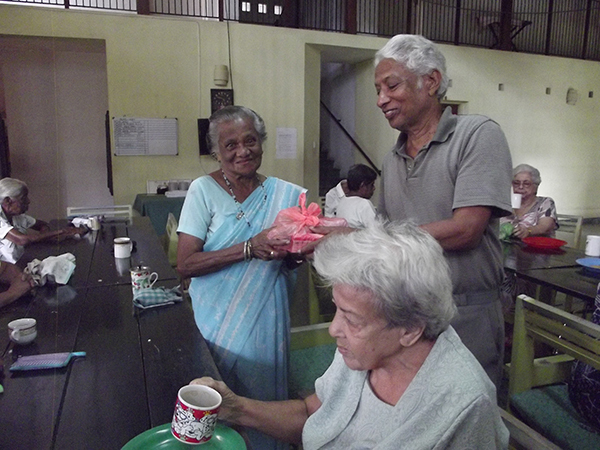 All the elders,Matron & staff were presented with gift packs of toiletries. 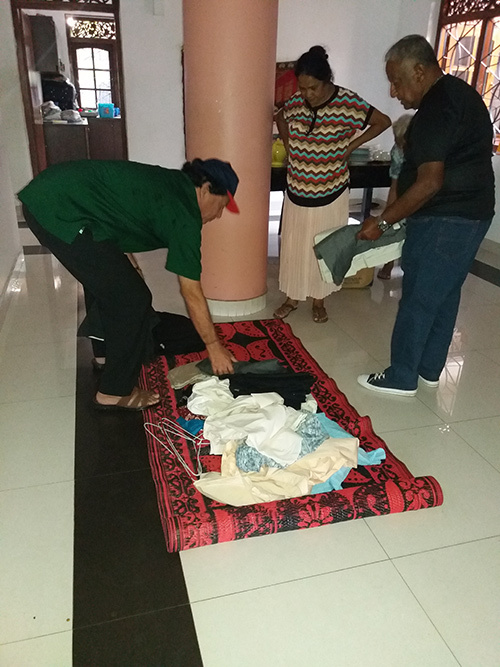 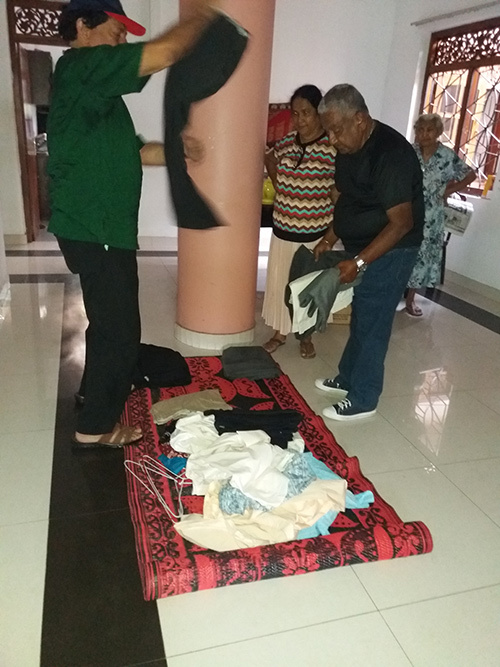 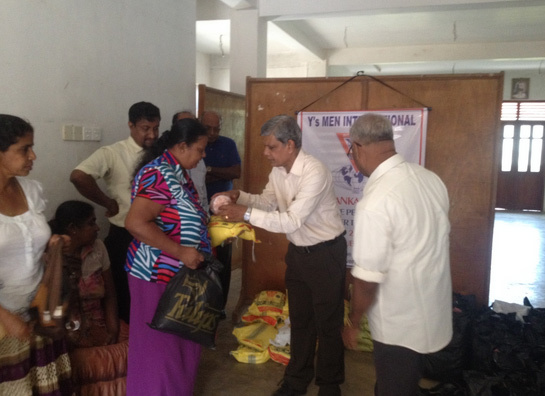 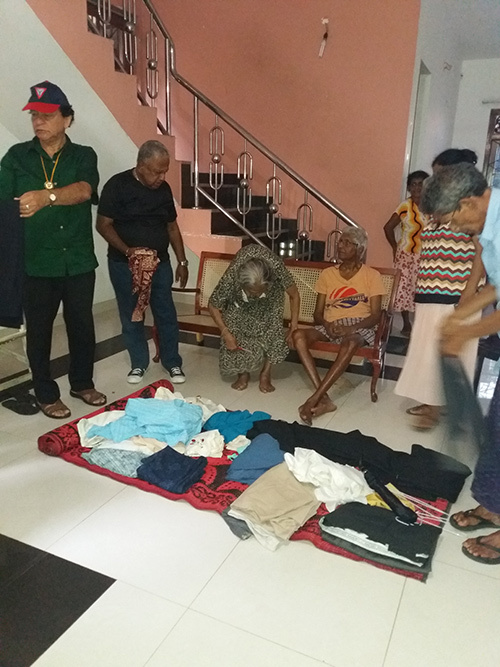 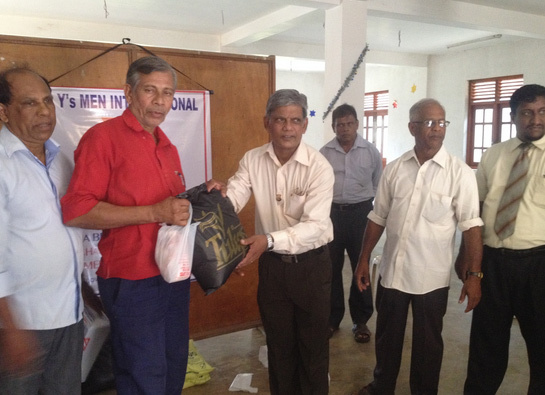 Y's Men's Club of Dehiwela at Yasa Elder's Home Nugegoda in September 2017 where clothes were donated to the 20 elders including their staff. 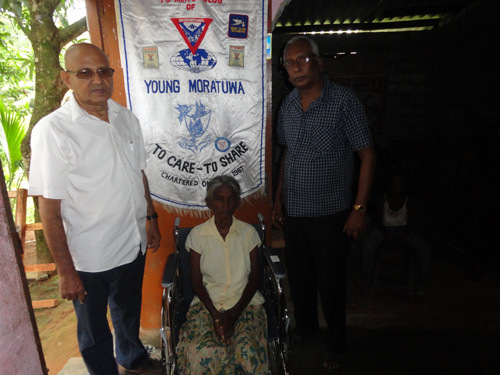 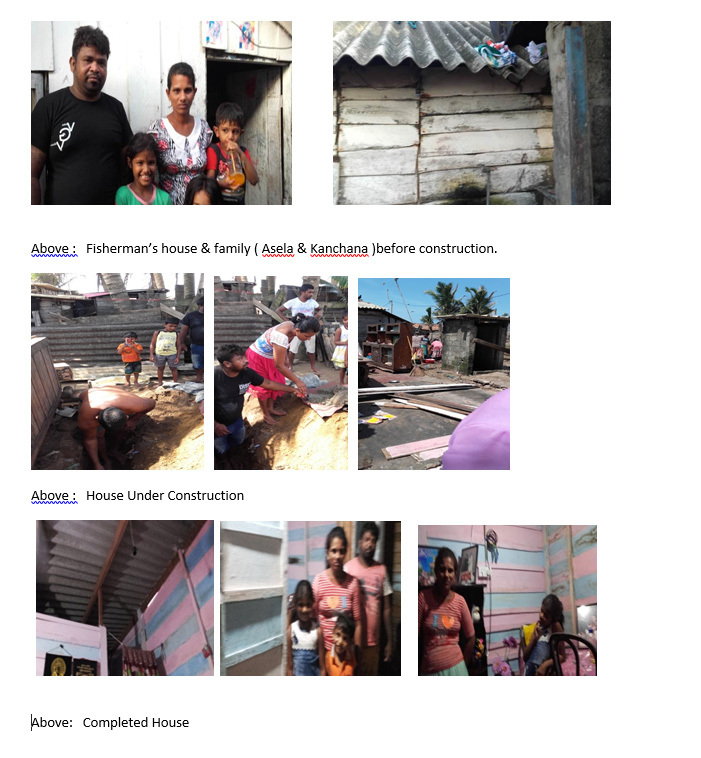 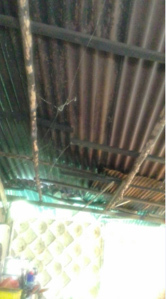 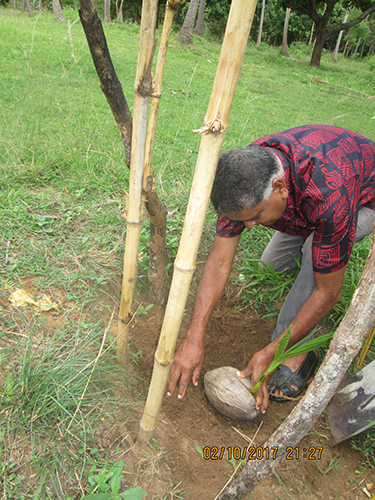 Young Moratuwa Club donated coconut rafters to repair a needy person’s roof of her house. 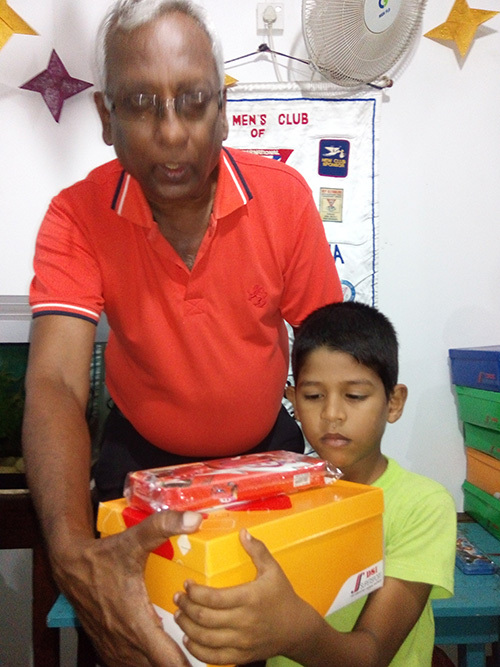 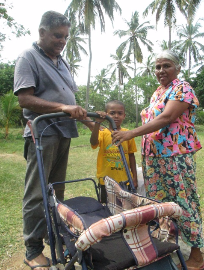 Kurunegala club president donating a go-cart to a needy person August 2017. 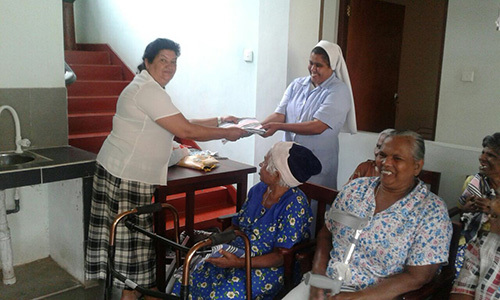 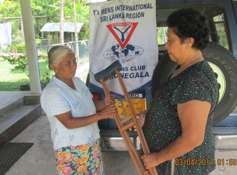 Kurunegala Club donated crutches to a person who met with an accident. 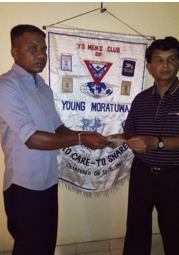 Y's Men Club of Young Moratuwa on 5th March 2017 donated Rs.30,000/- to Regional Treasurer to subsidize the cost of members’ registration fees for the 2017 Regional Convention. 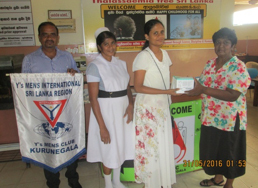 together with toiletries to the “HALF WAY HOME” HIMBUTANA MULLERIYAWA which is aligned to the hospital for Mental Health on Saturday 22nd October 2016 to assist the Women’s section consisting 143 inmates. 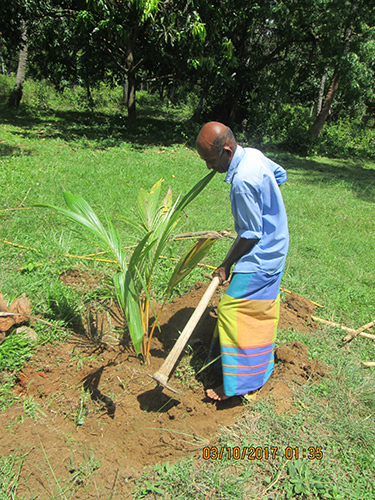 Dehiwela Y's Men's club in action at Dolosbage off Nawalapitiya when estate Tamil people were displaced due to the Land slides threat off Nawalapitiya at Dolosbage ;which is about 3000 Feet above Sea level. 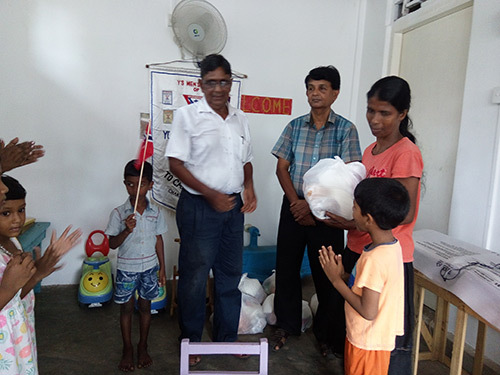 Donation of 25 hampers containing dry rations Milo, Milk Powder, Nestomalt , Rice, Dhal ,Salmon, Flour ,Sugar, Soaps ,Toothpaste, washing soap and clothes to persons who were affected. 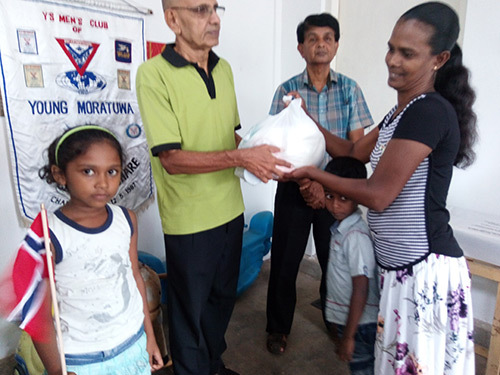 Kurunegala club donating rice , dhal, Sugar, Milk powder, spices, Tea , and 50 bottle of water, (parcels)for 200 displaced families in Aranayaka. 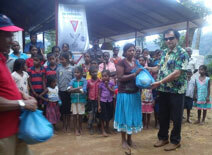 Moratuwa Club - "Annual day of Sunshine held on the 6th of December for the inmates of the Katukurunda HMRG at the Hotel Randiya"
Dehiwela Club supplies water supply, electric water pumps, Pipe lines done, showers and taps all fixed in the The Vandaramulai Village Batticoloa on 24th and 25th Oct 2015. 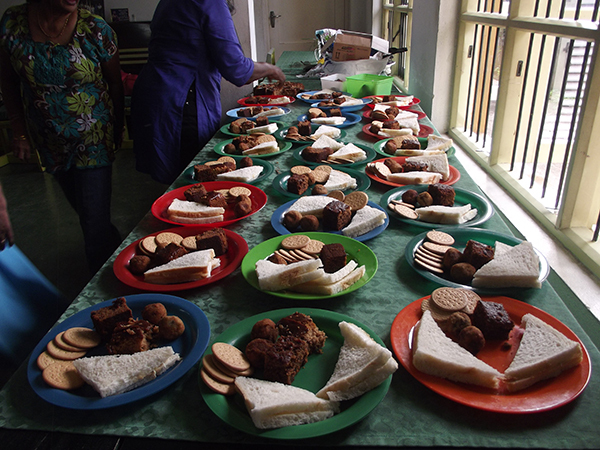 They also provided a meal and some books after the project. 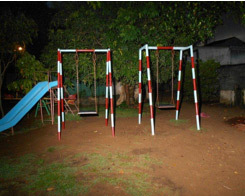 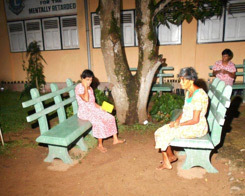 Young Moratuwa club donated 4 benches and repaired swings to the Mentally retarded home in Katukurunda. 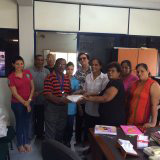 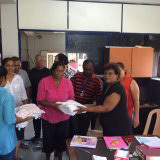 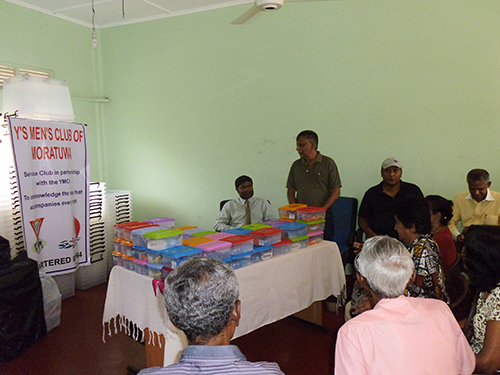 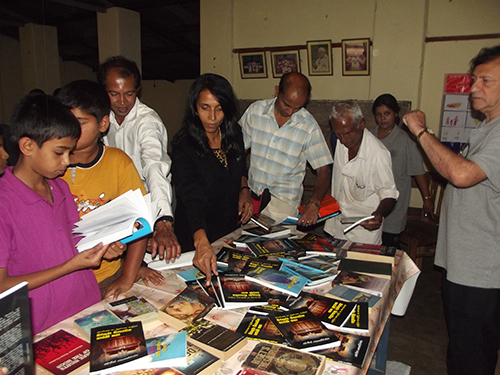 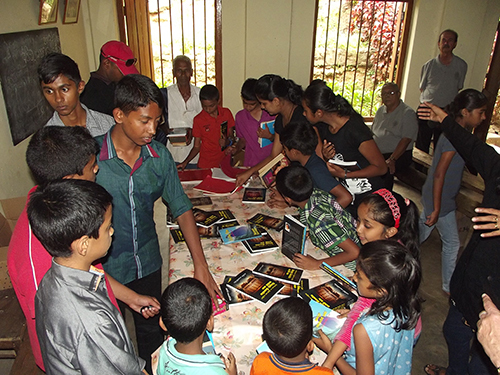 Donation of English books to 25 families in and around Diyatalawa on 12th July 2015 at the church in Bandarawela. 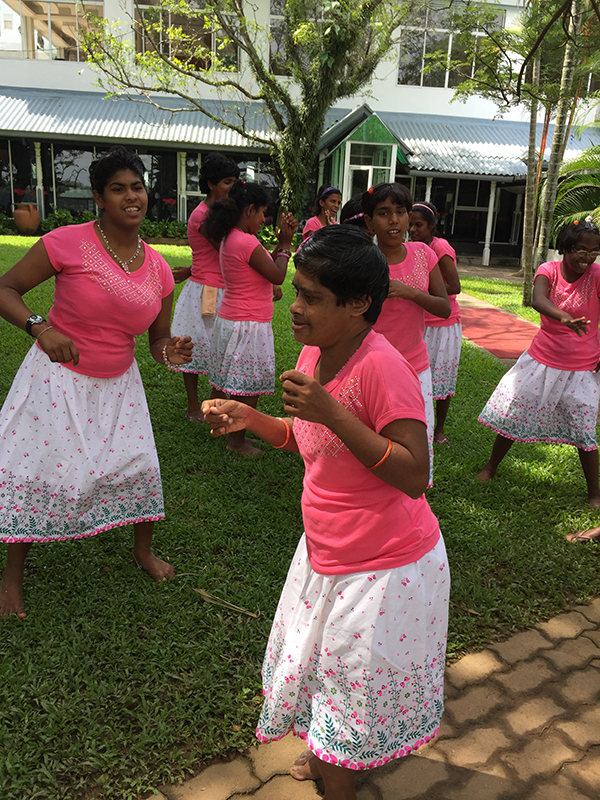 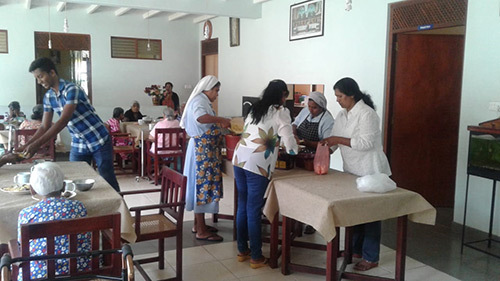 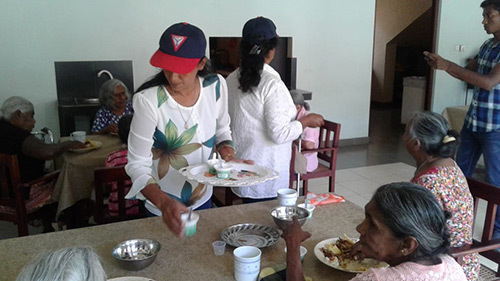 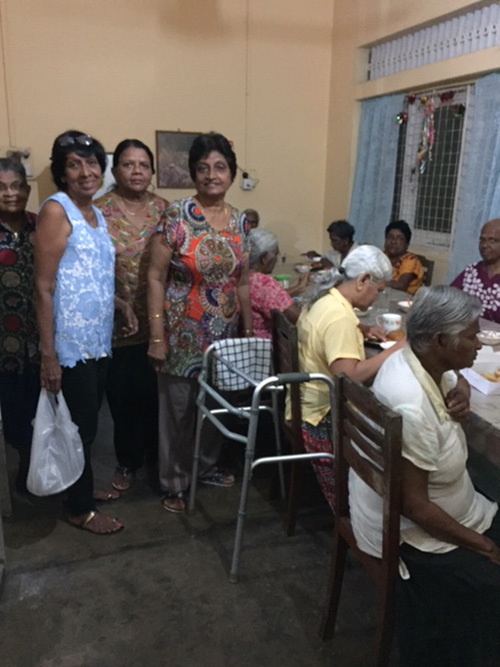 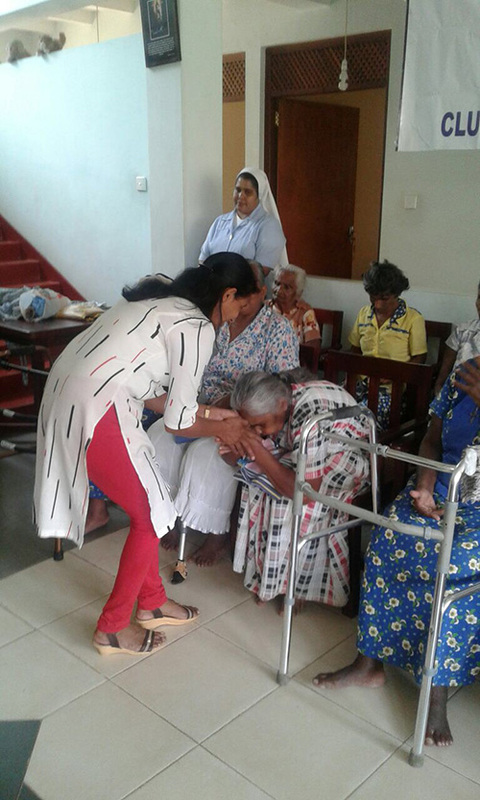 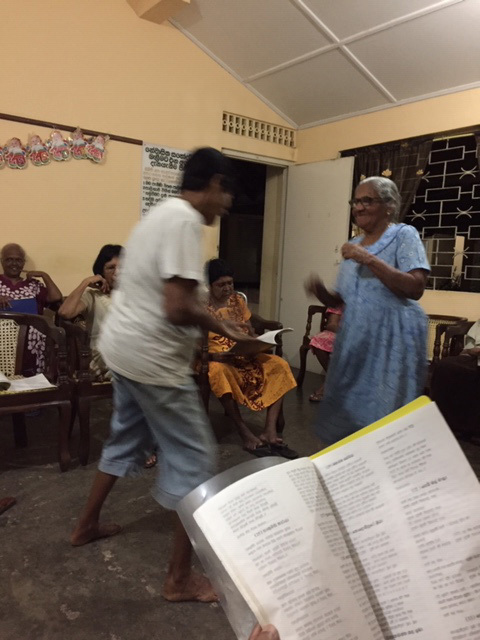 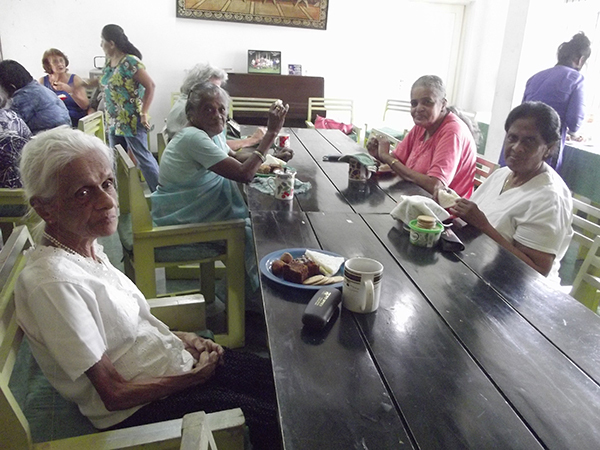 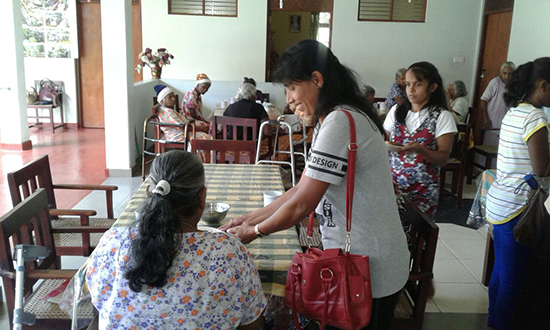 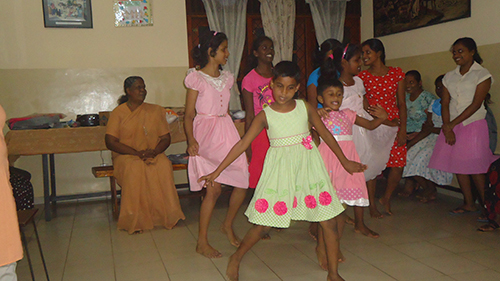 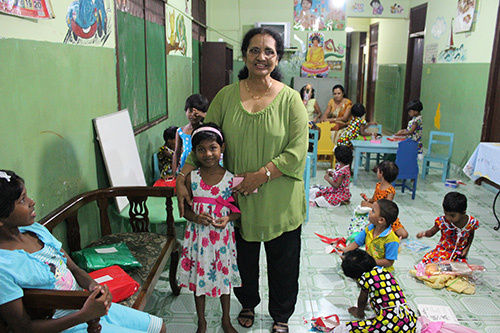 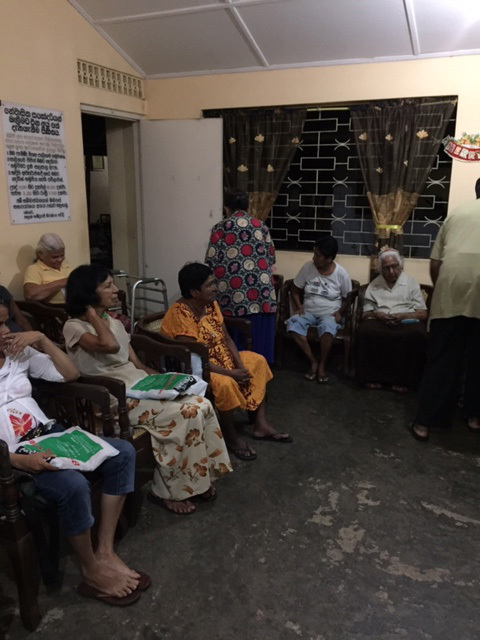 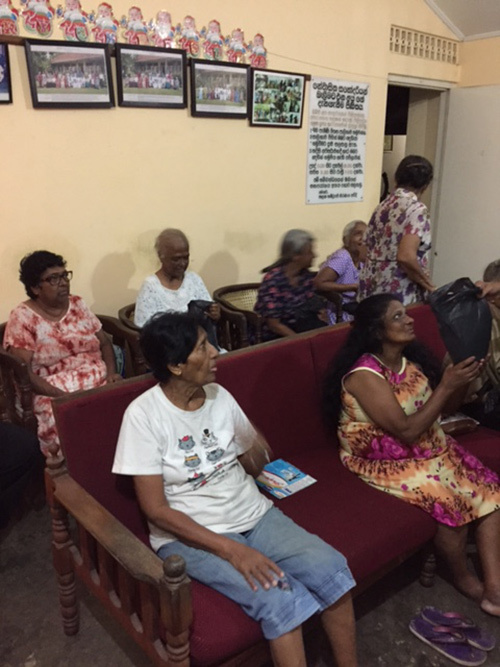 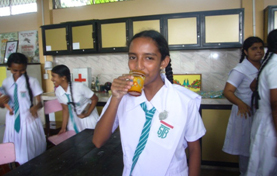 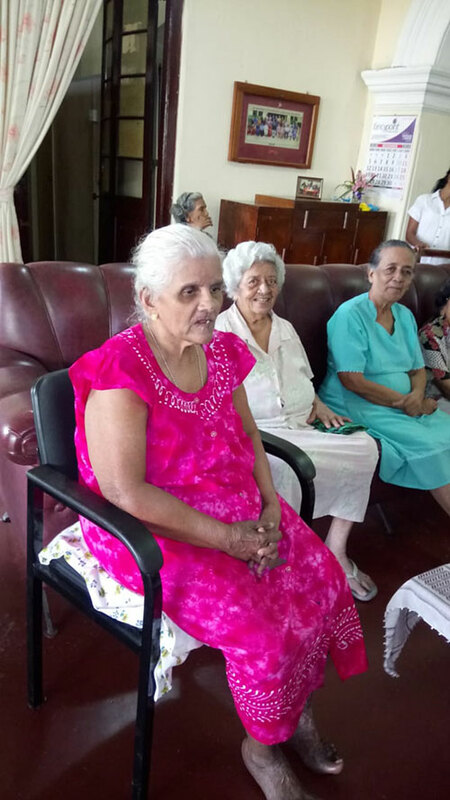 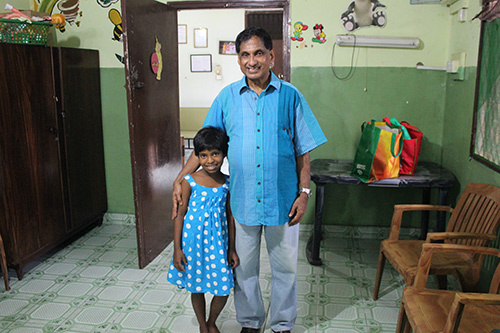 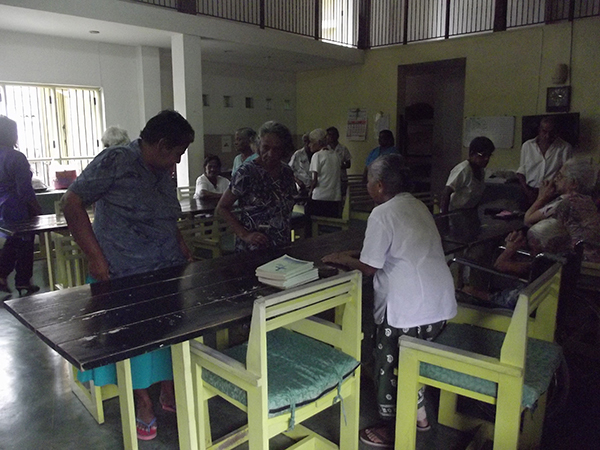 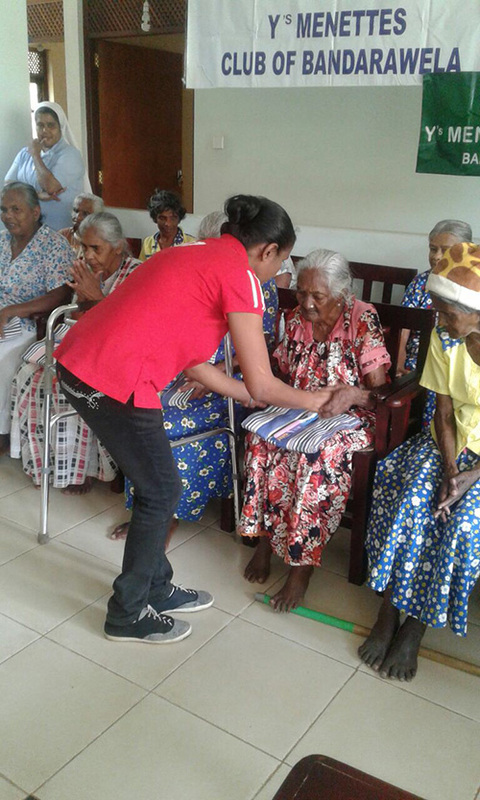 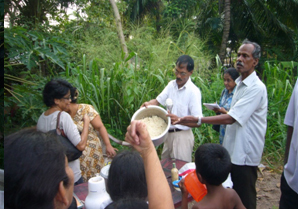 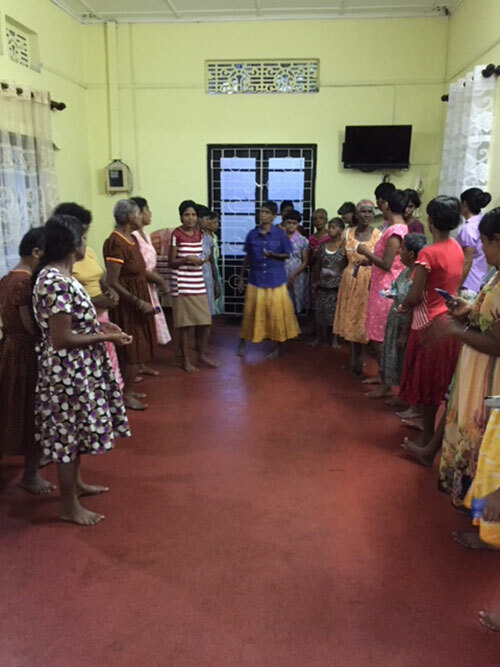 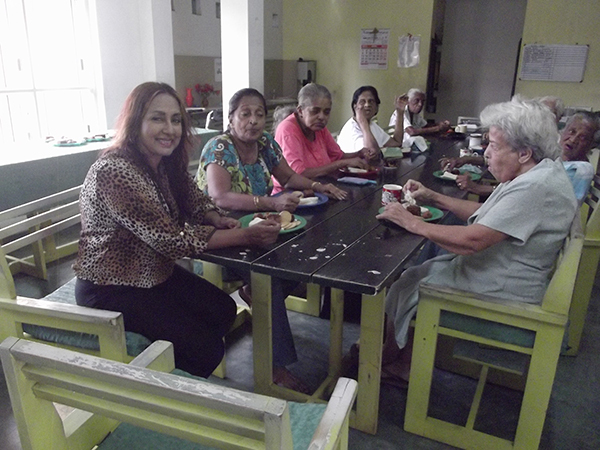 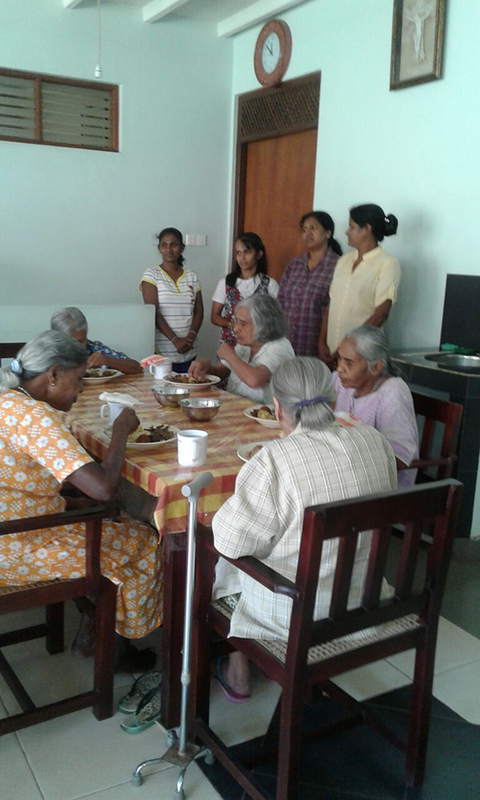 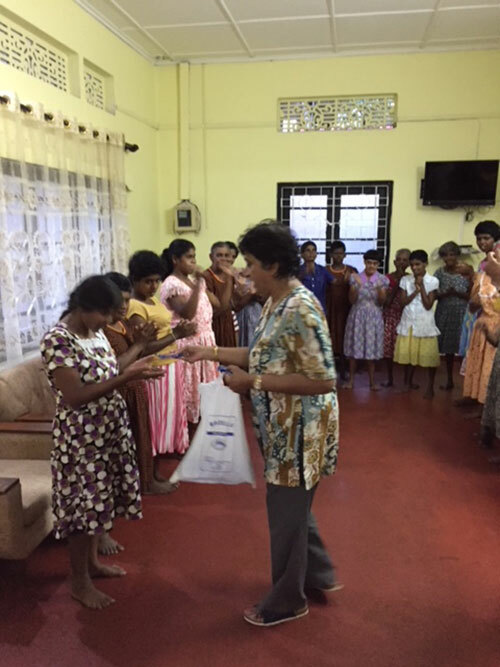 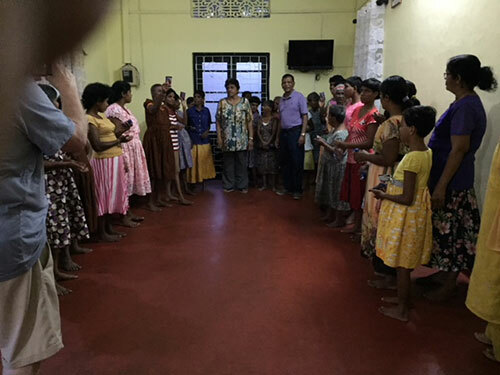 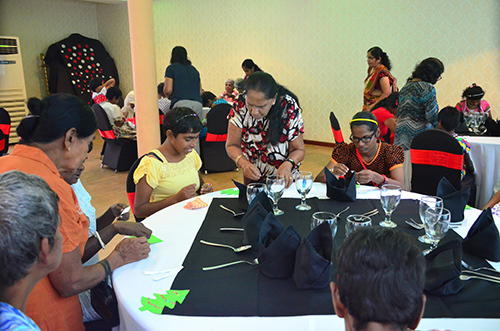 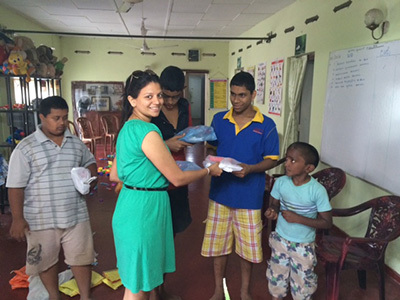 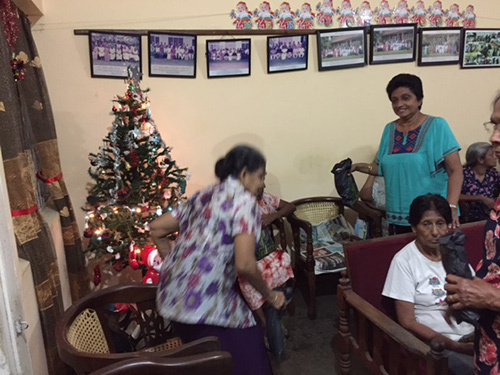 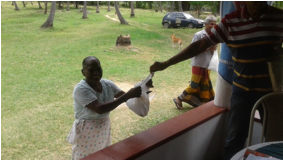 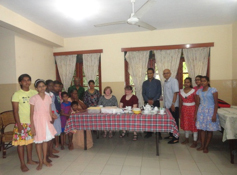 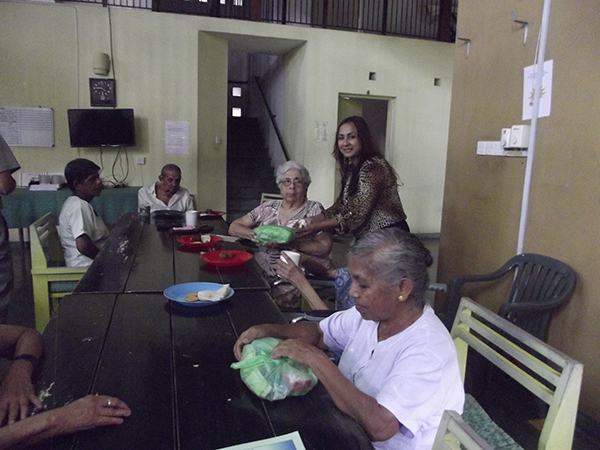 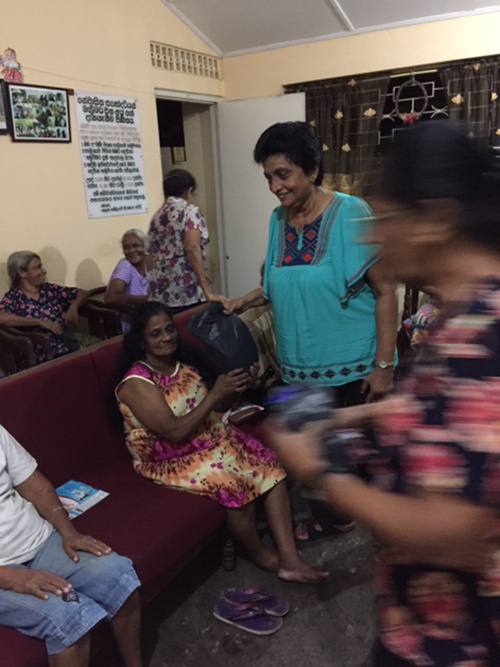 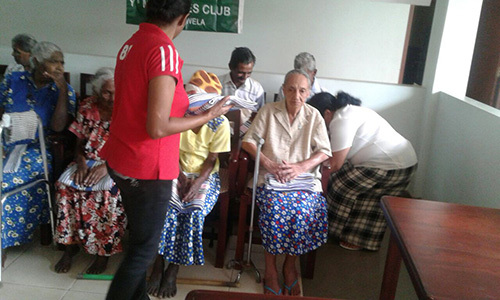 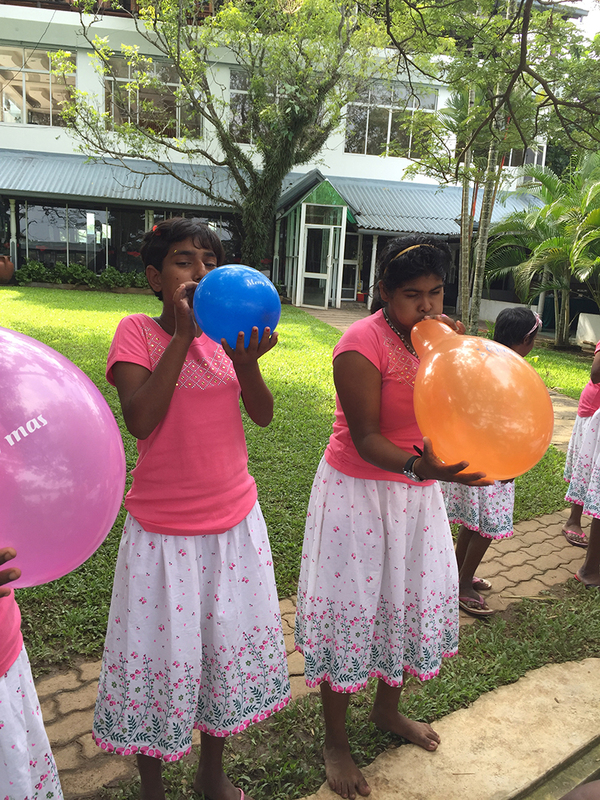 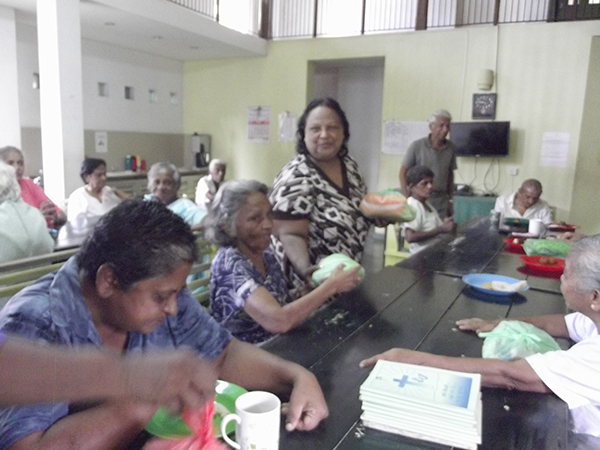 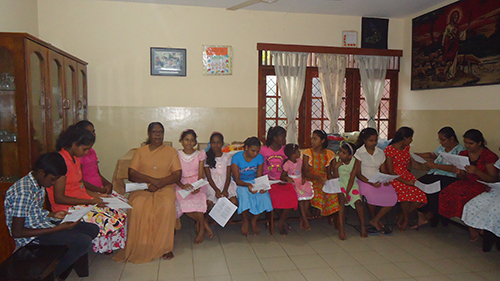 Community Service project at the Elders home in Kotte - June 2015. 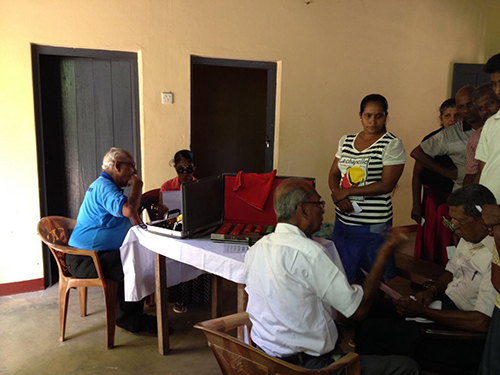 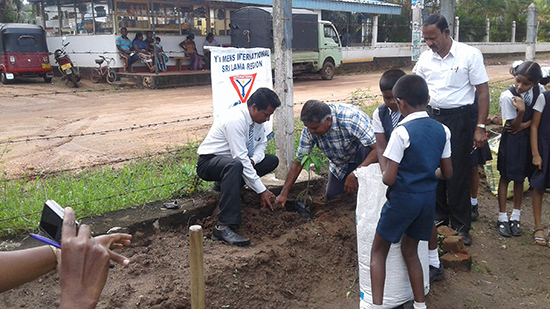 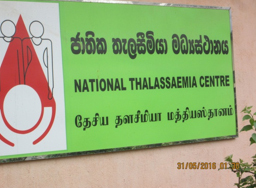 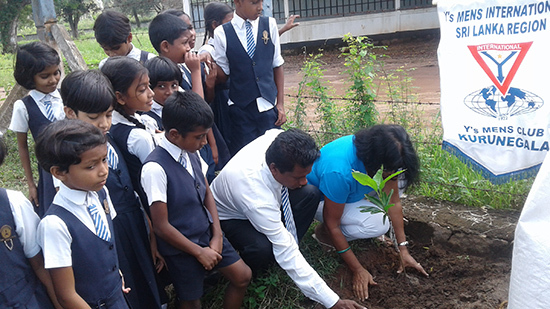 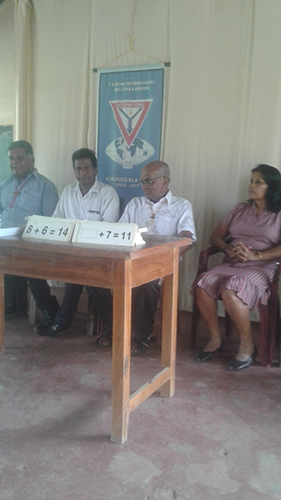 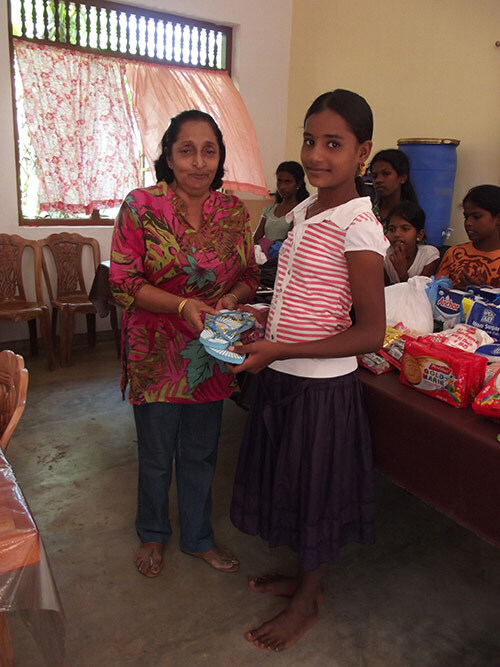 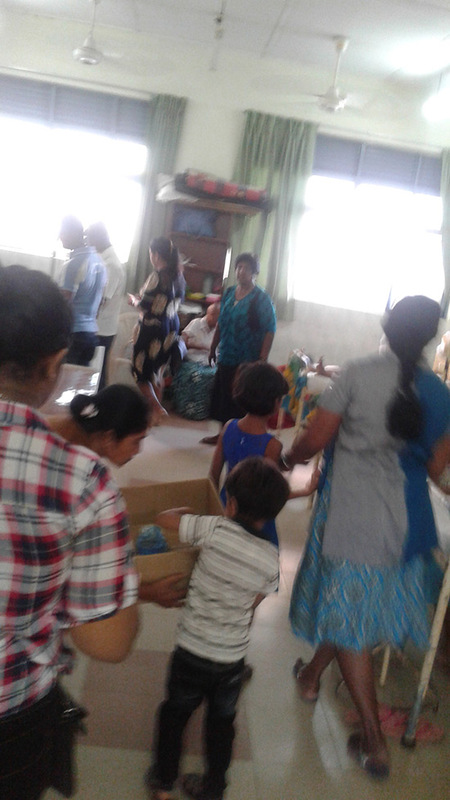 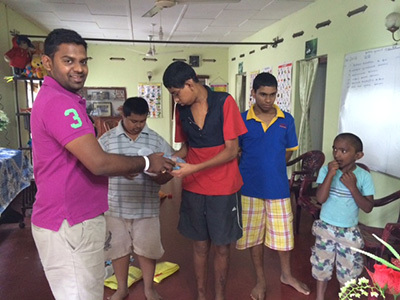 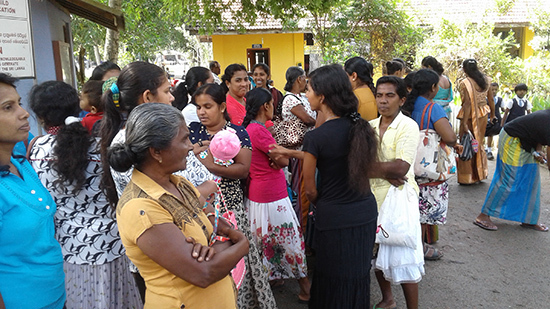 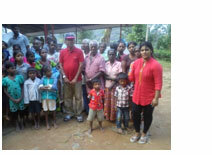 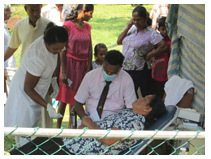 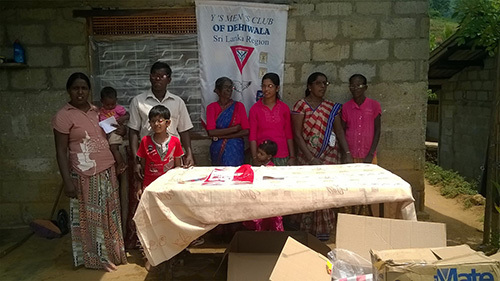 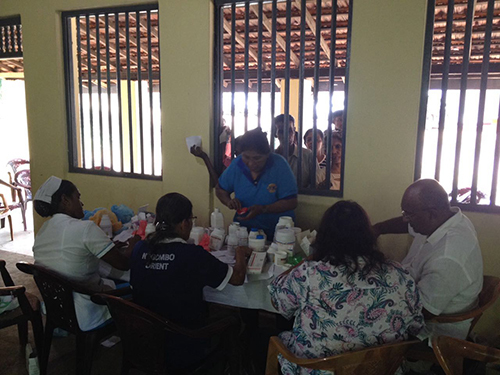 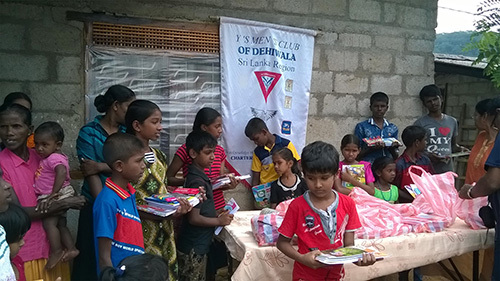 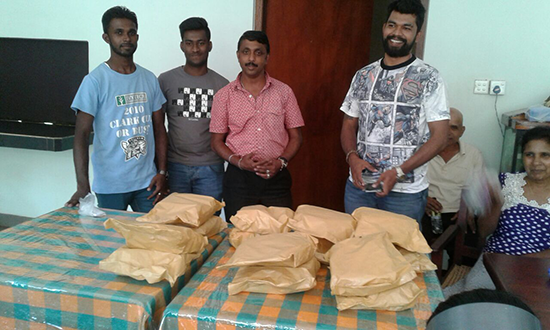 Dehiwala Club takes its Tamil New Year Community Service Project to Eravur! 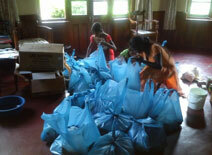 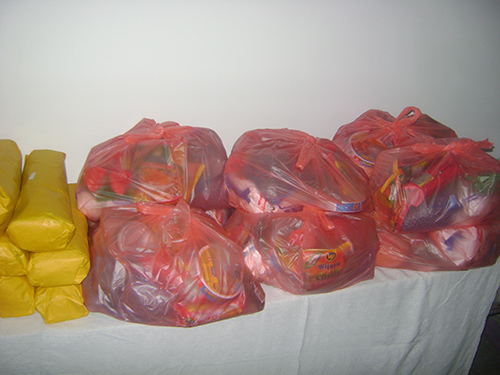 20 deserving children get a cooked meal and 20 parcels of dry rations! 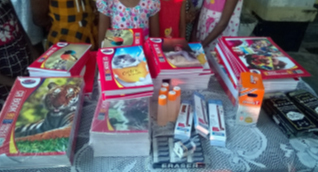 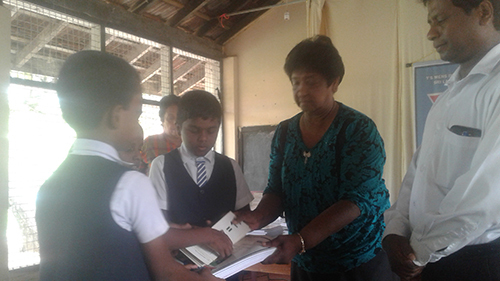 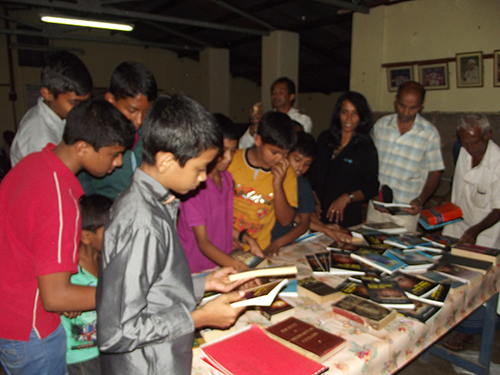 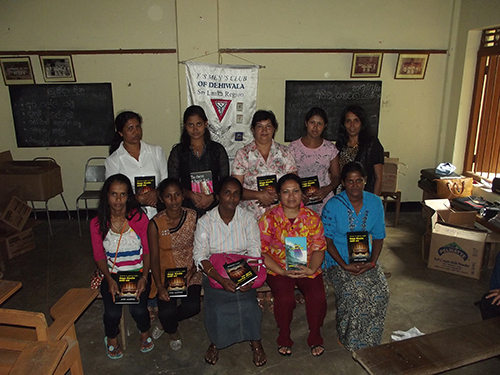 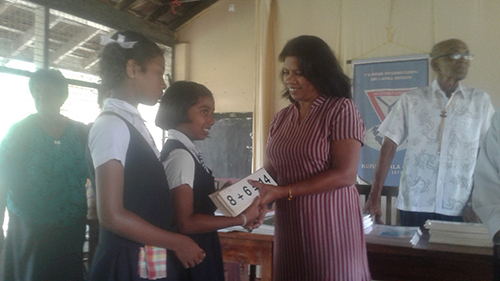 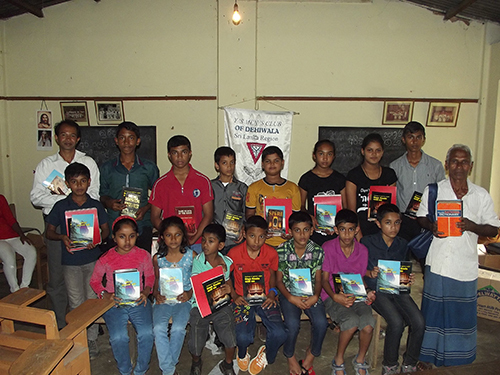 Dehiwela club members members donated English books to 16 children from Badulla and Bandarawela. 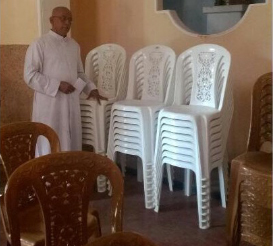 Venue: Roman catholic church UVA. 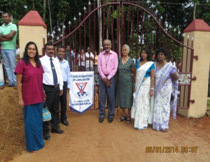 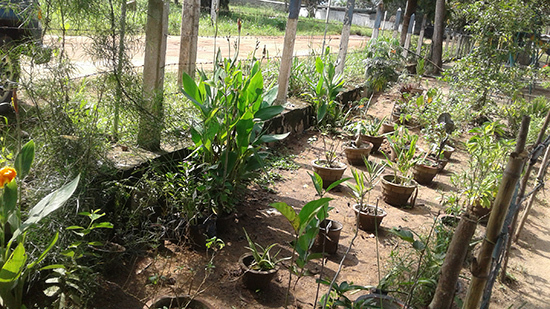 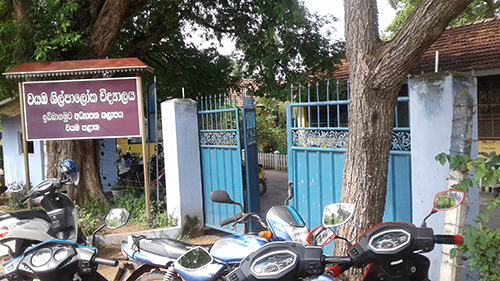 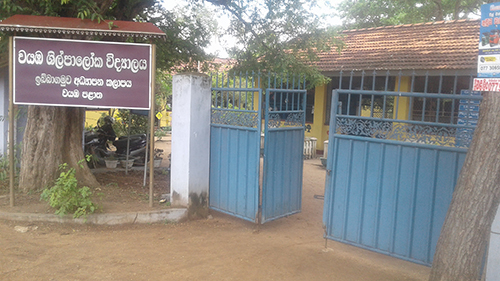 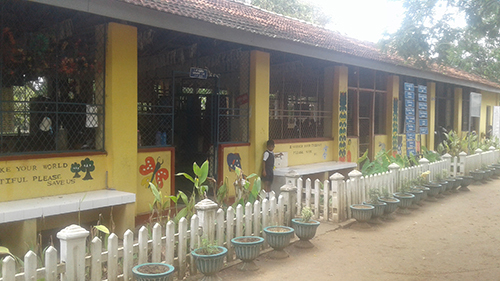 Entrance gate and fence built by Kurunegala Club at Primary School in the village Siyabalangamuwa. 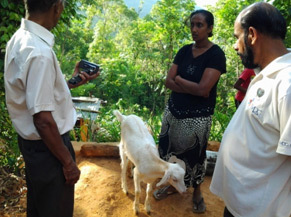 Area President Rita Hettiarachchi concludes an extremely fruitful & noteworthy year in office as at 30th June 2009 as Area President 2008/09 - Asia Area ! ! 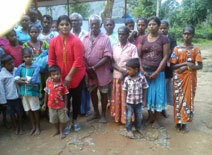 She still serves the Area as the Area Executive Officer in AP Troika! ! 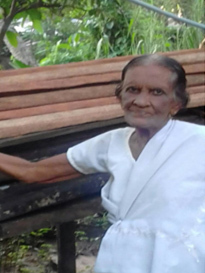 During her period in office , affairs in the Region were conducted in an extremely efficient & exemplary manner . 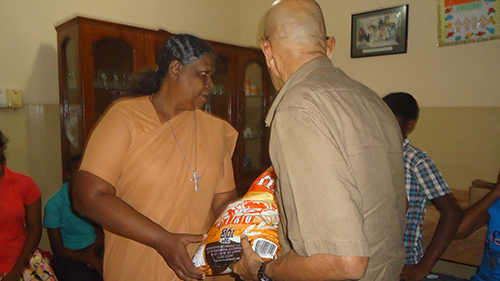 The culmination of events of her tenure was the very successful Asia Area Convention 2009 & the Youth Conference 2009 which was hosted by Sri Lanka Region & held in Colombo from 31st July; 2009 to 2nd August 2009. 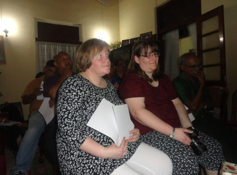 She played a major role along with the Host Convention Committee in organising same & its grand success , encountering many obstacles in organising same . 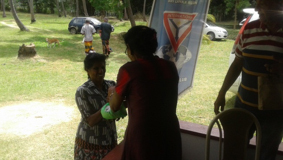 Congratulations & Well done AP Rita and wish you aspire to greater heights in Y's dom for its betterment in the years ahead.